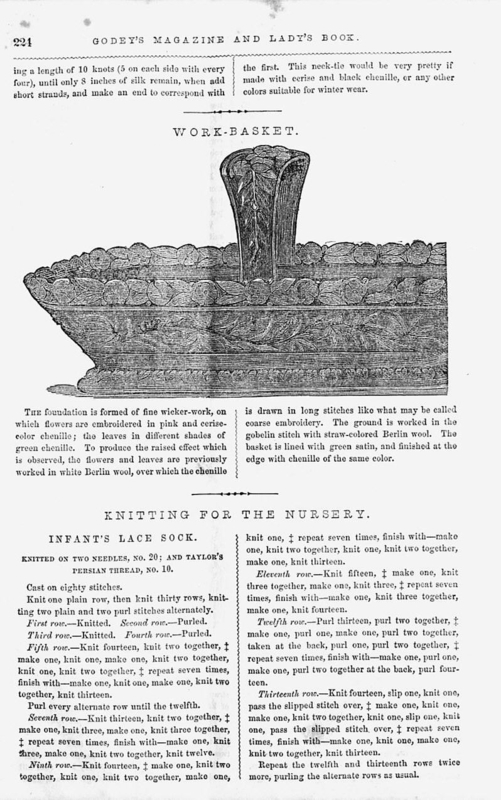 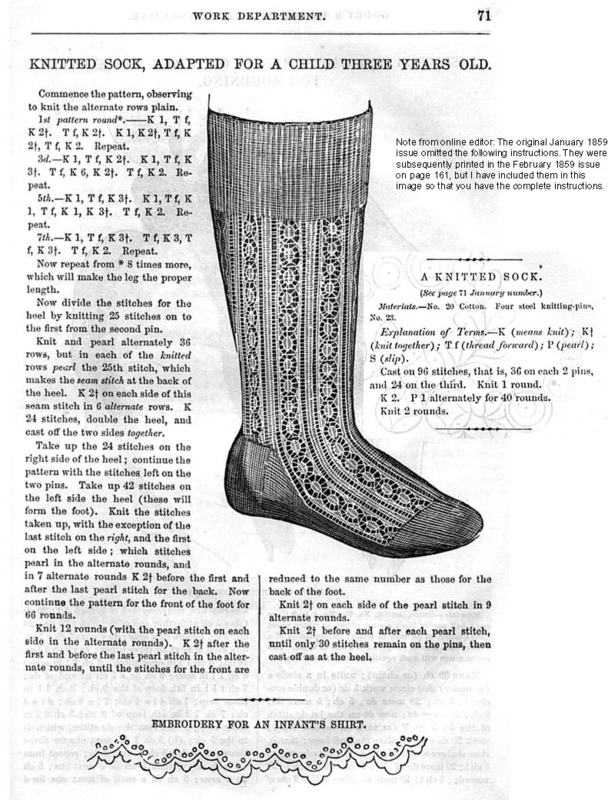 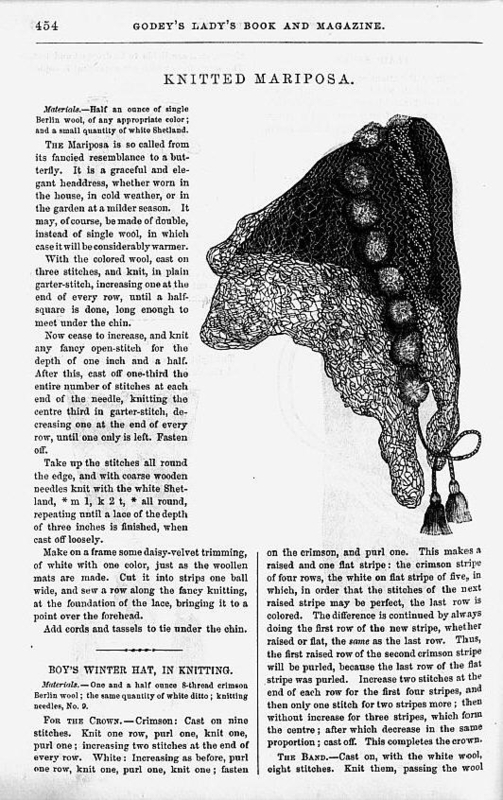 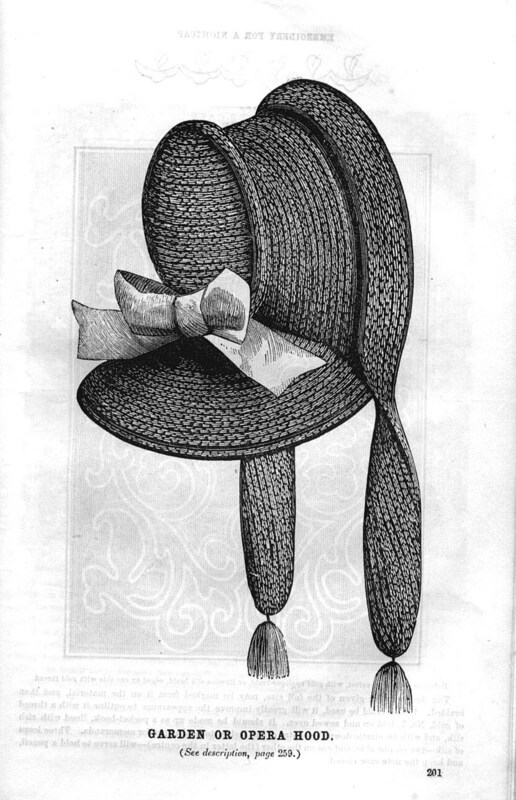 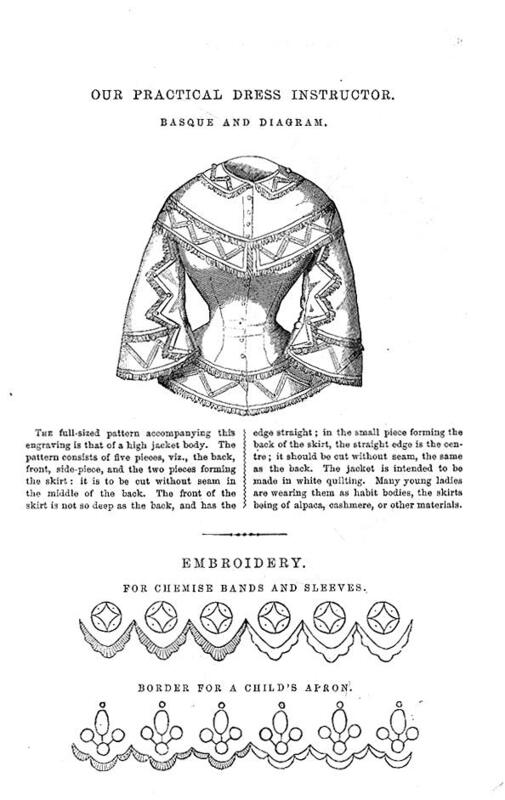 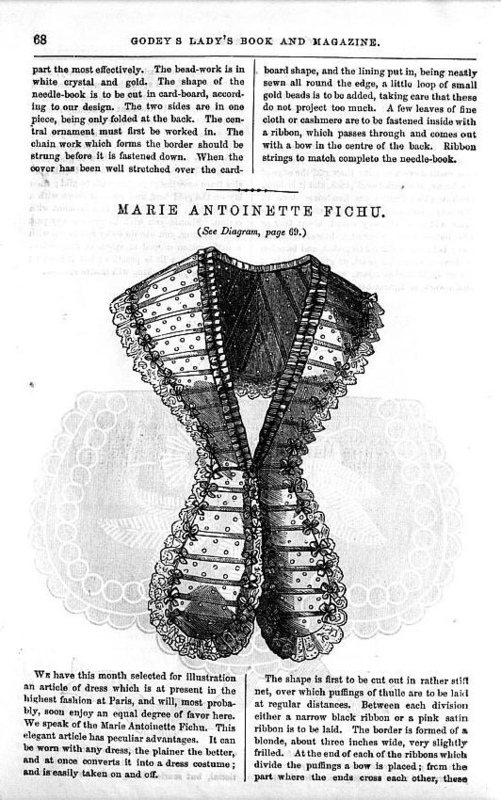 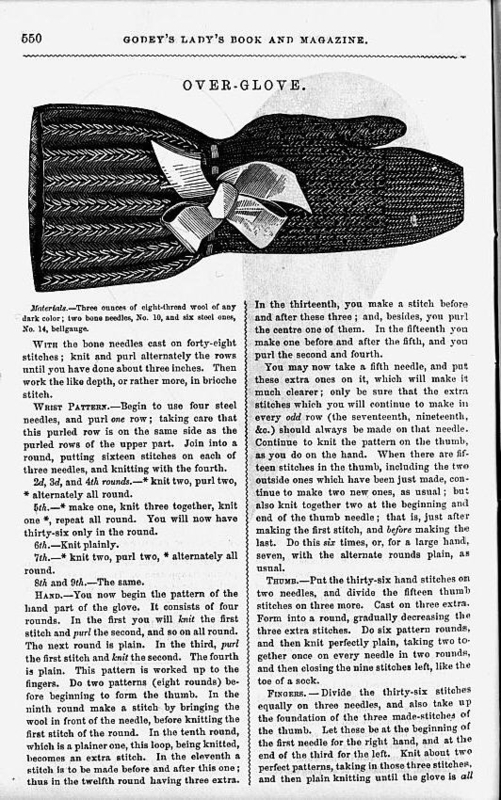 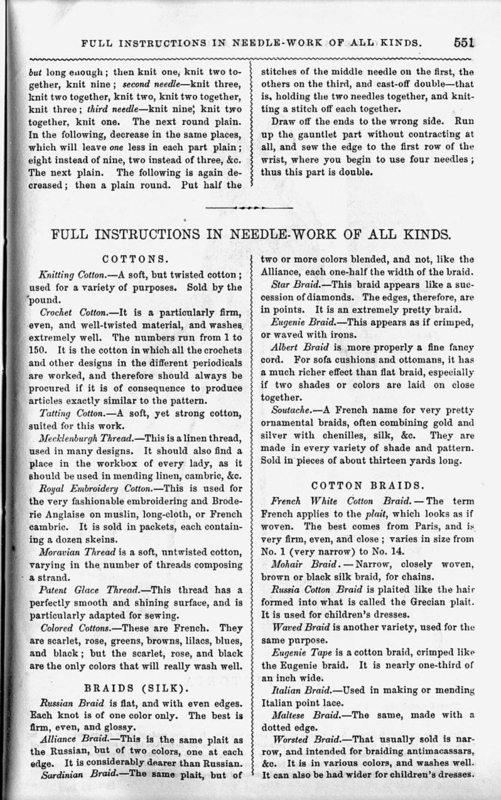 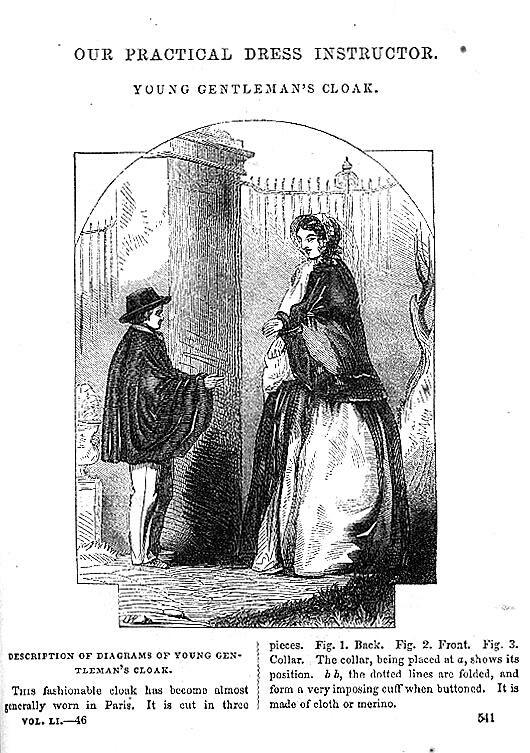 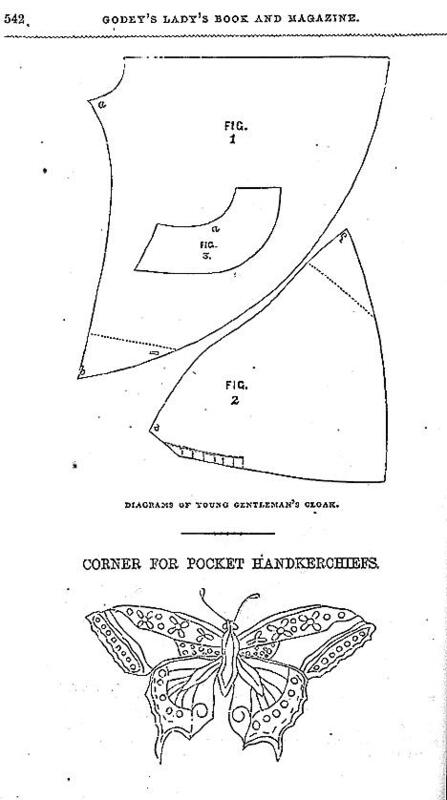 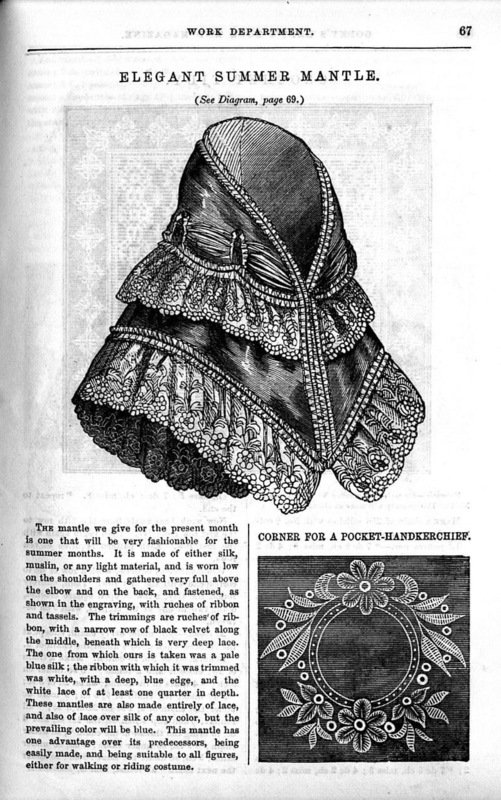 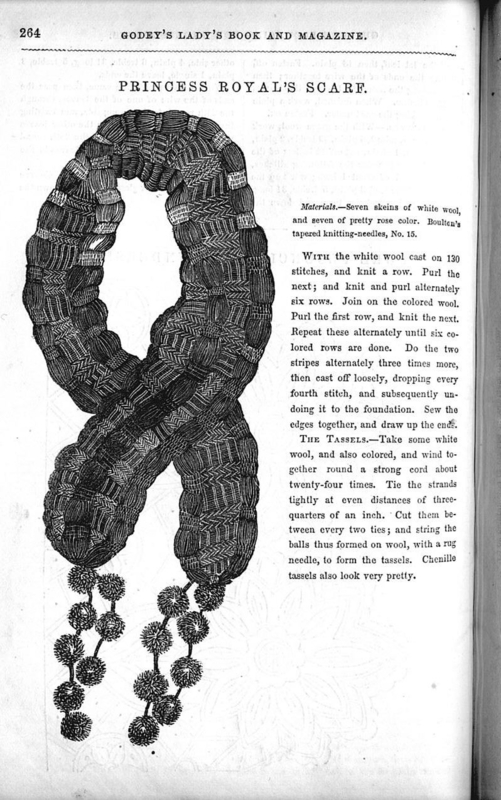 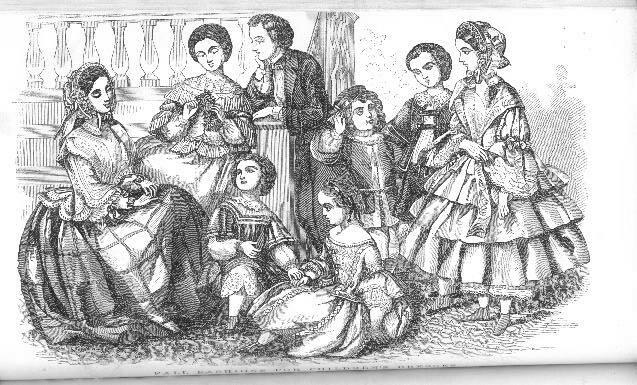 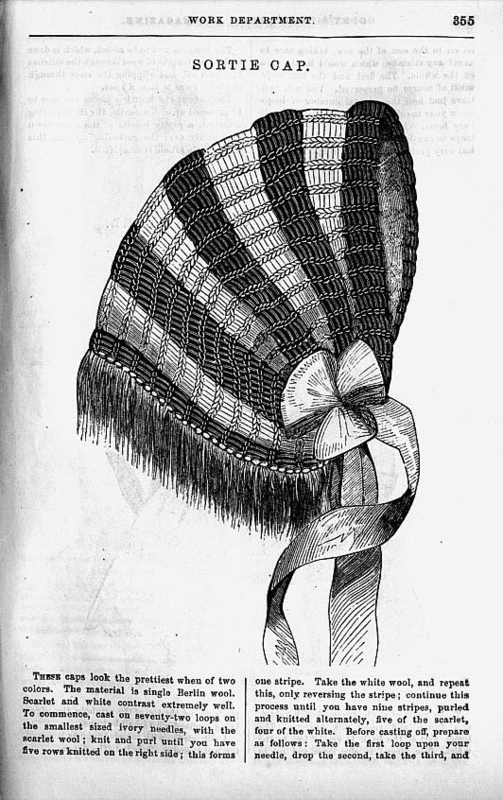 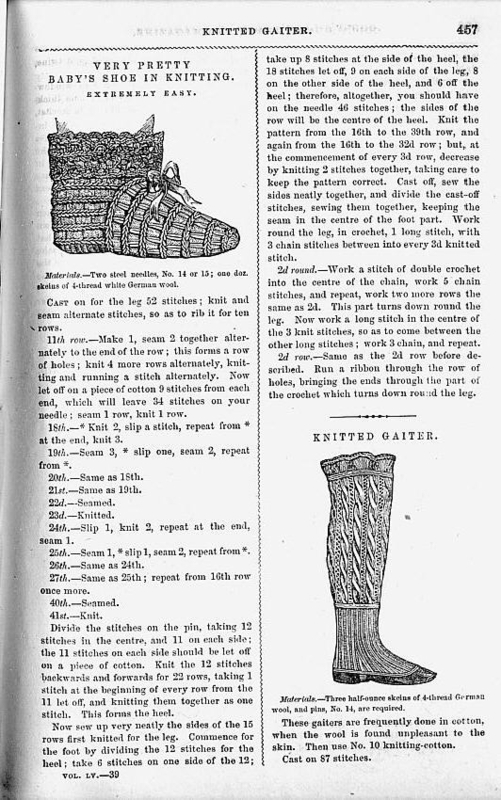 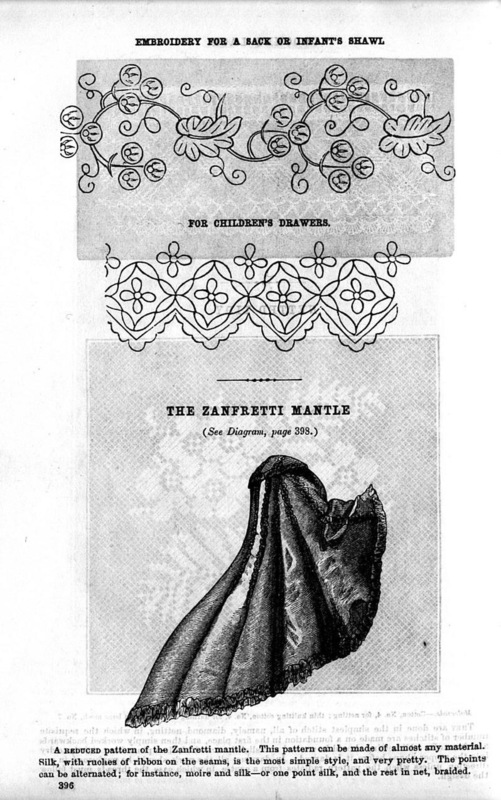 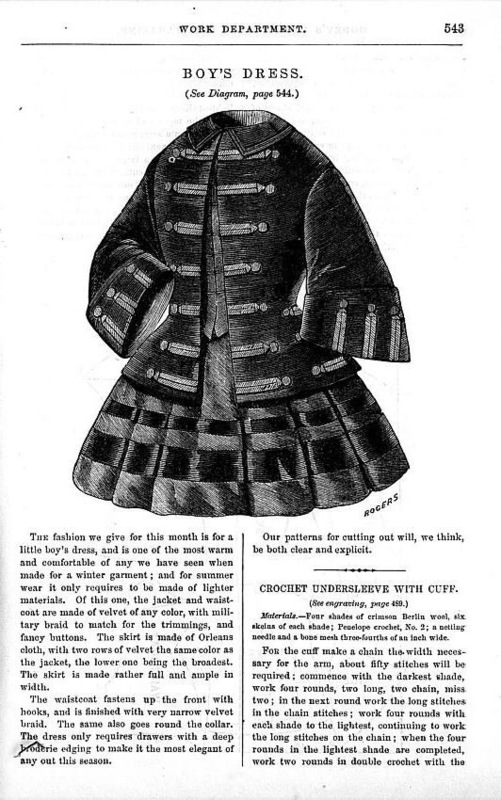 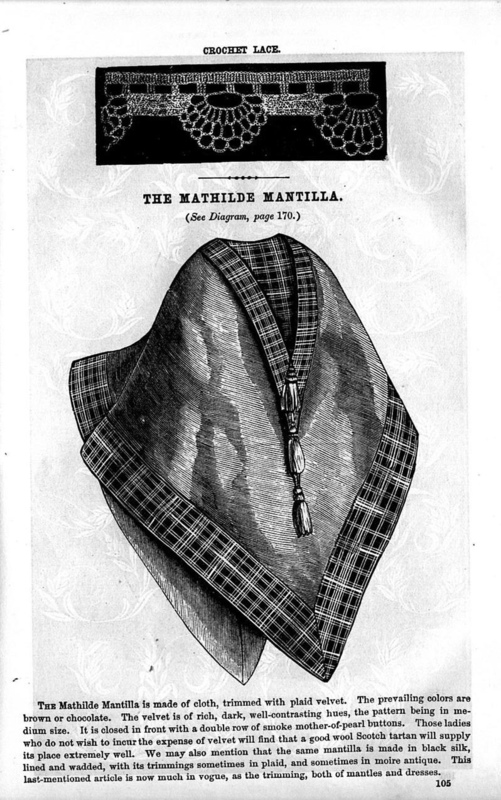 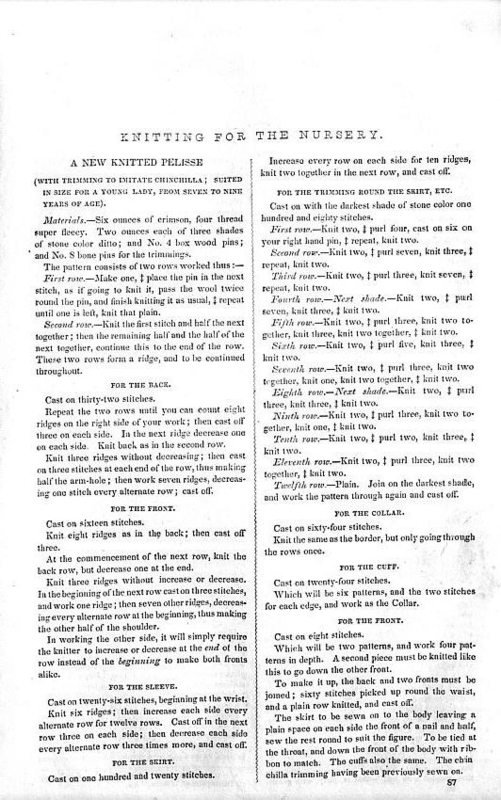 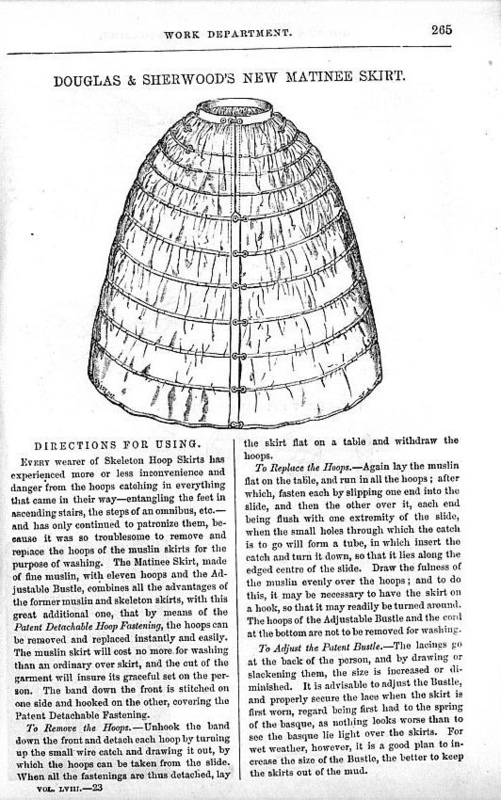 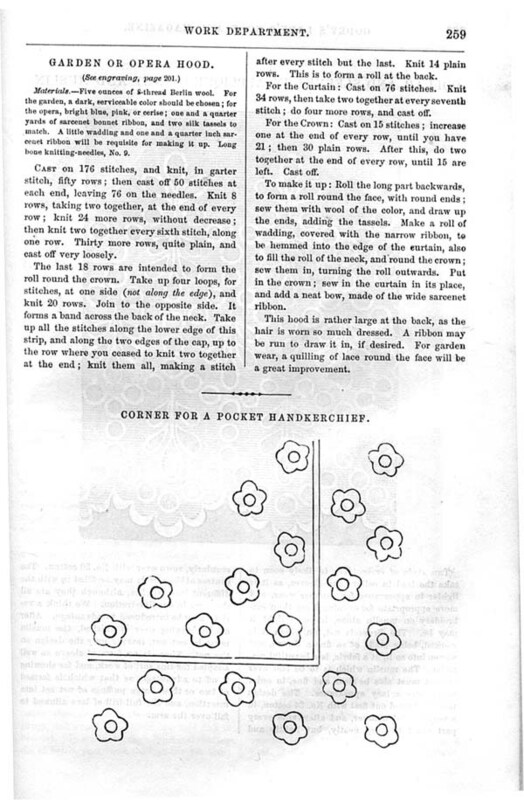 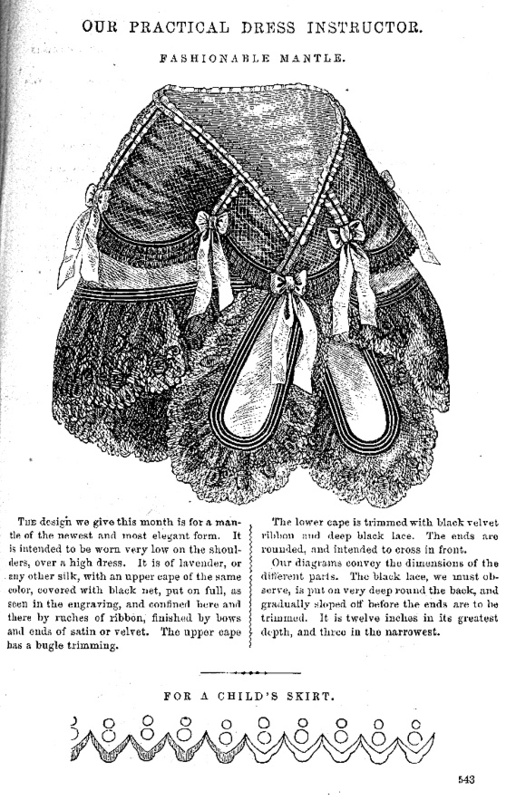 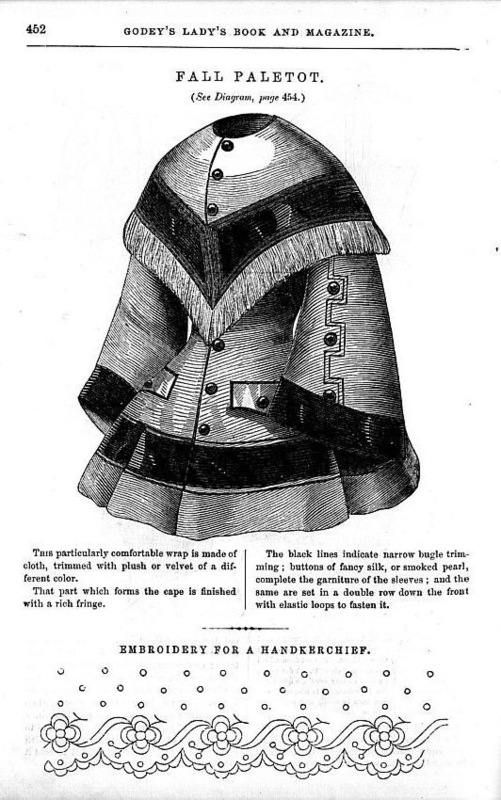 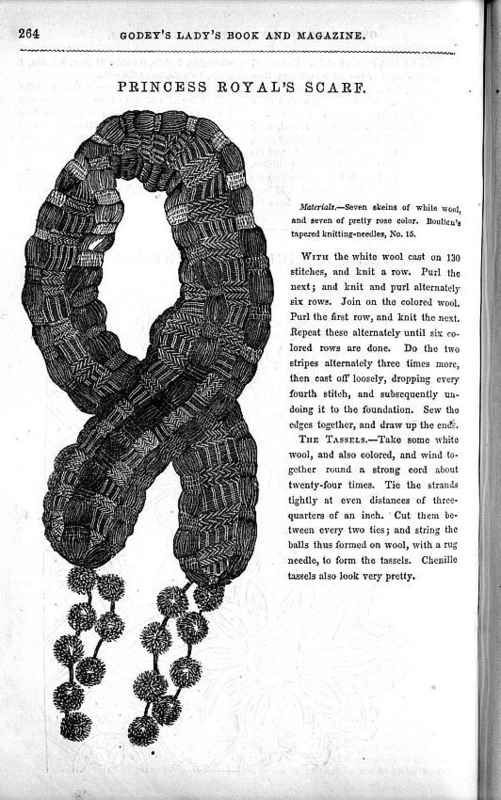 Included in every Lady's Book were several pages devoted to fashions, dress patterns for women and children, as well as many patterns and instructions for "work": crotchet, knit, needlework, etc. 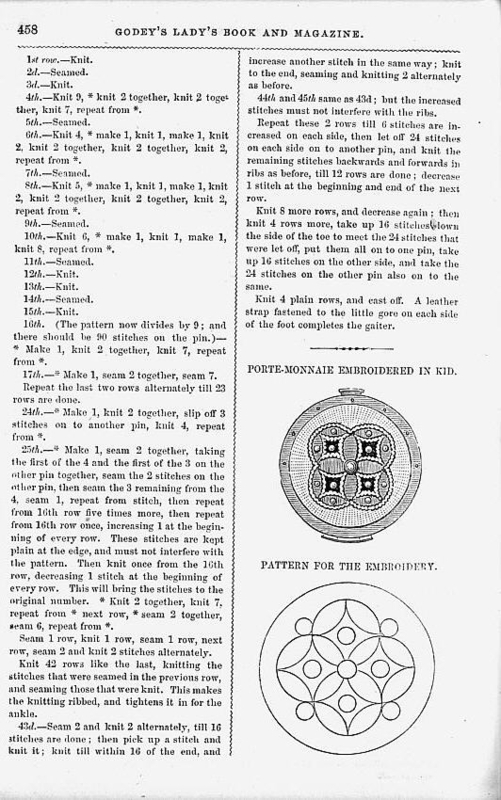 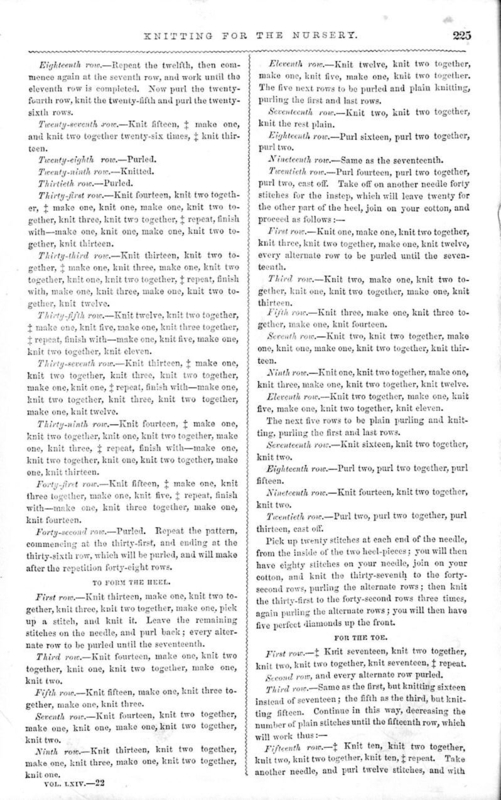 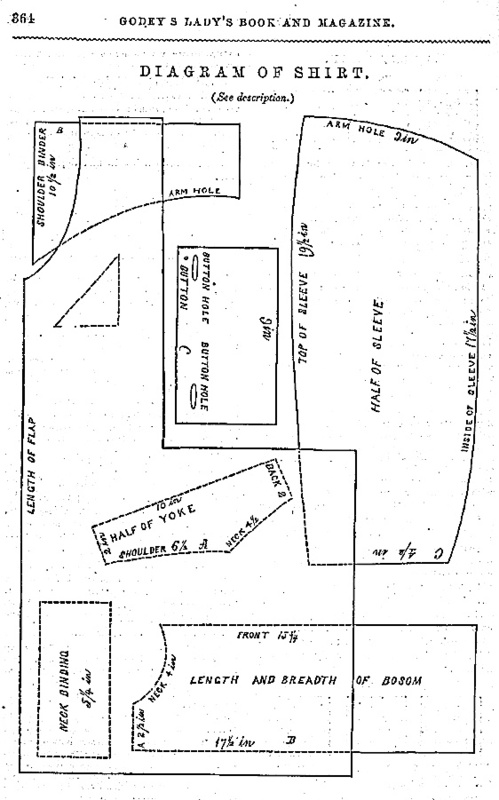 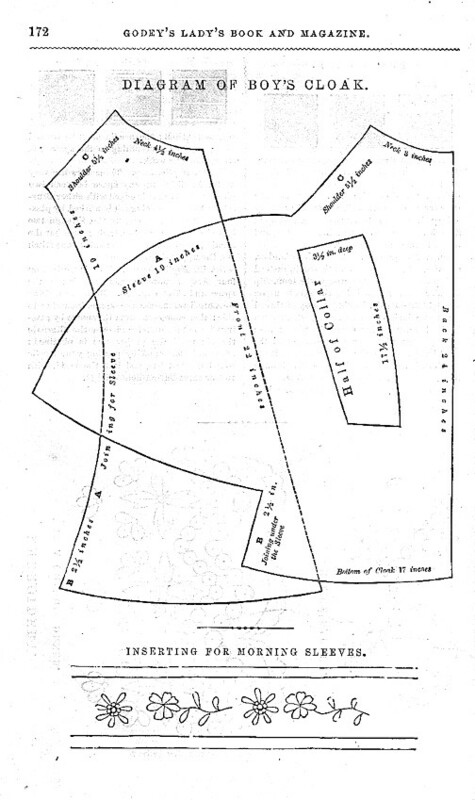 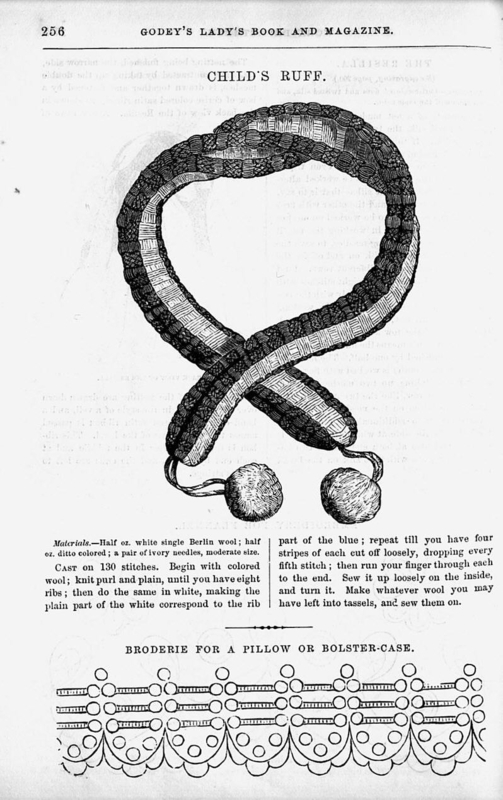 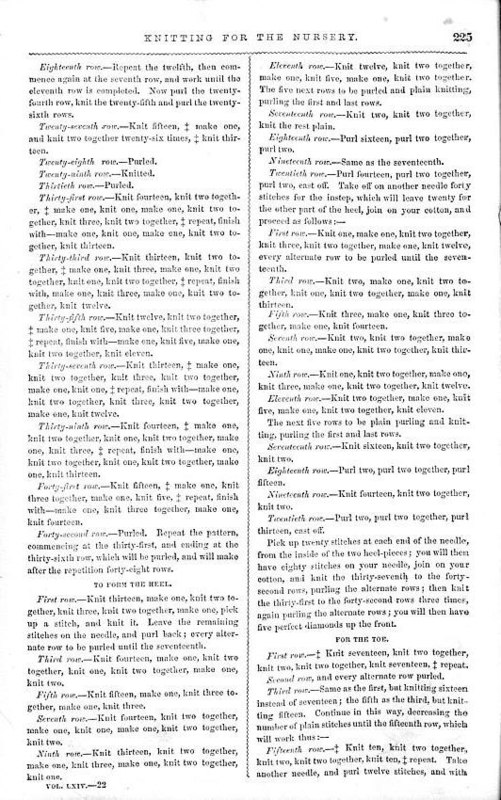 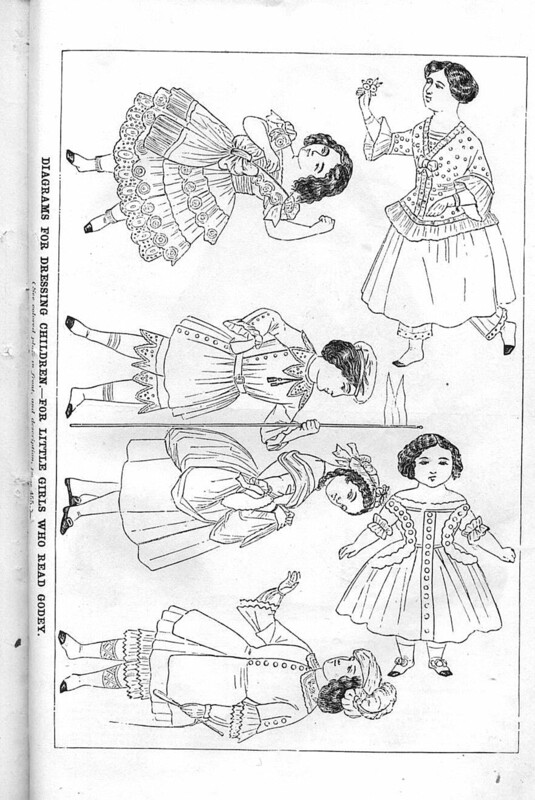 This is a list of all such images available at this site to date, linked to the images themselves. 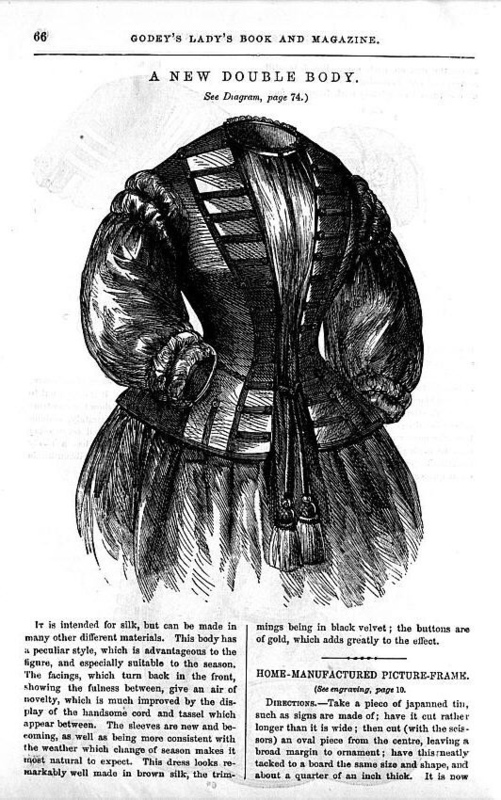 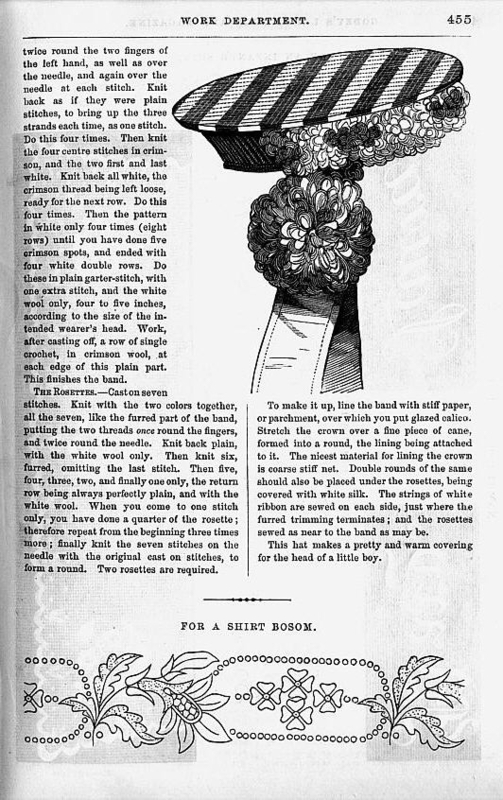 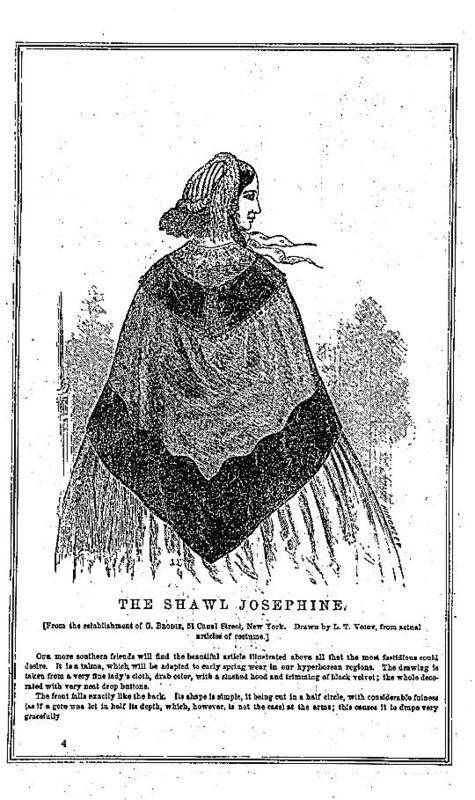 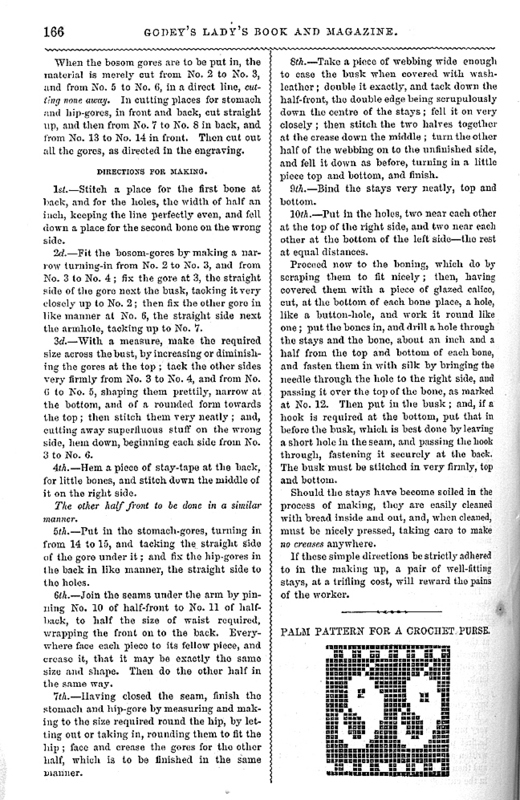 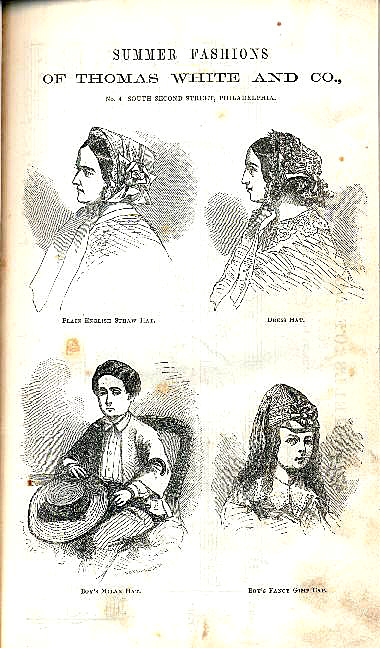 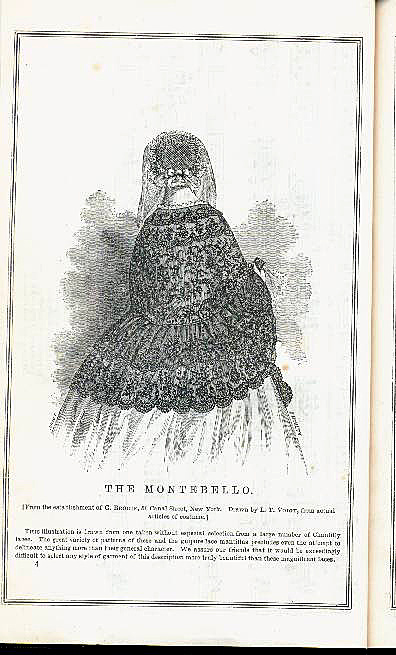 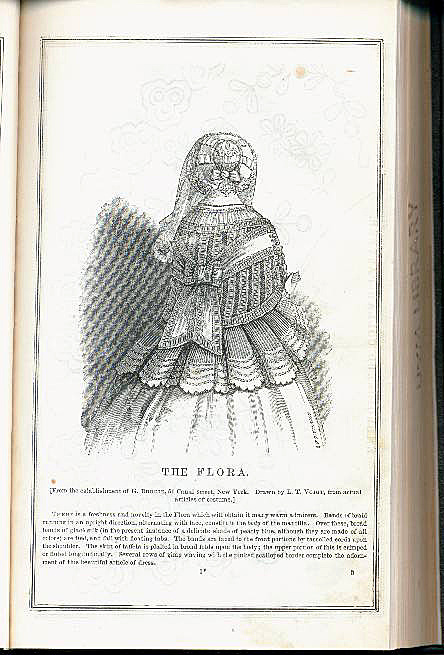 "Thumbnails" of these images that also link to the large images, are available through the Fashions & Patterns page. 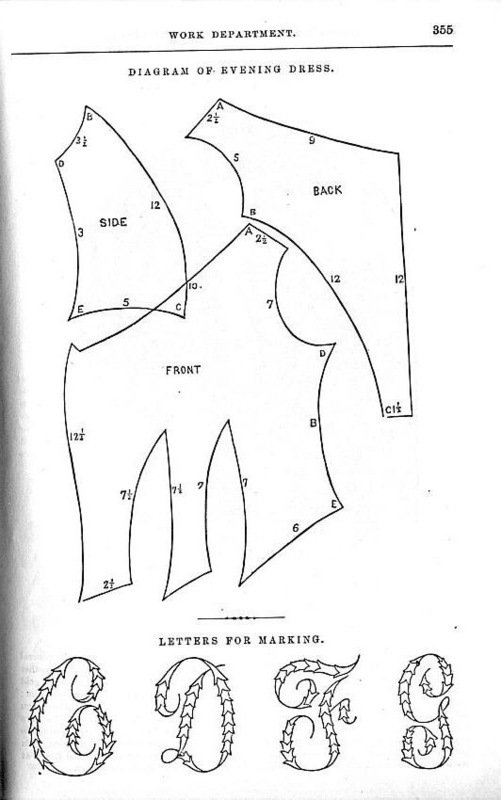 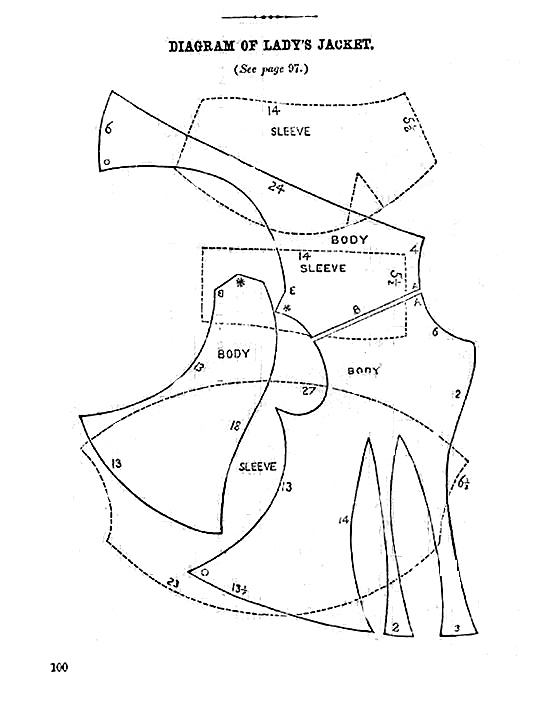 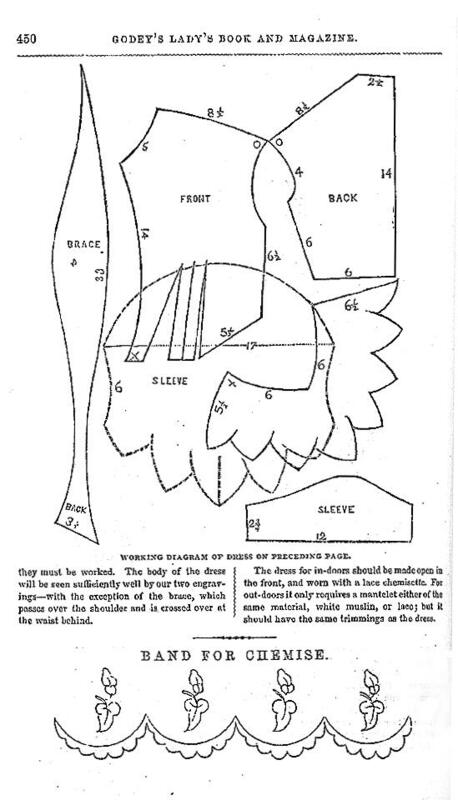 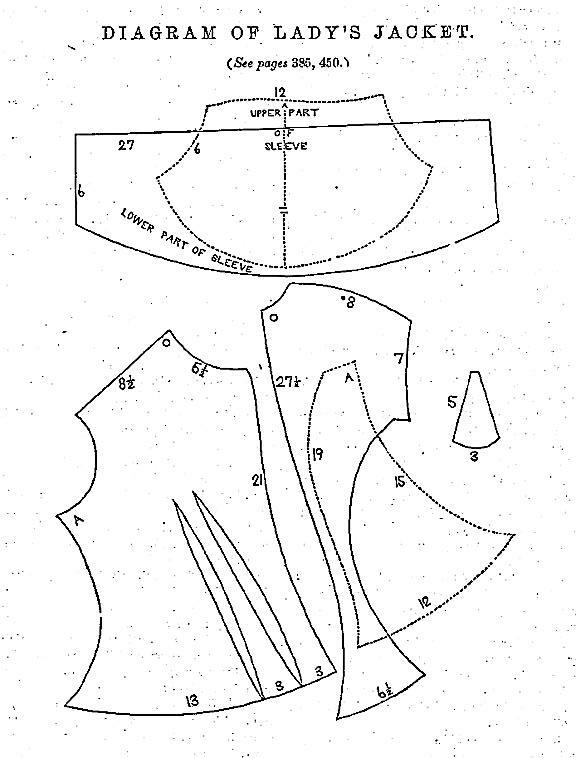 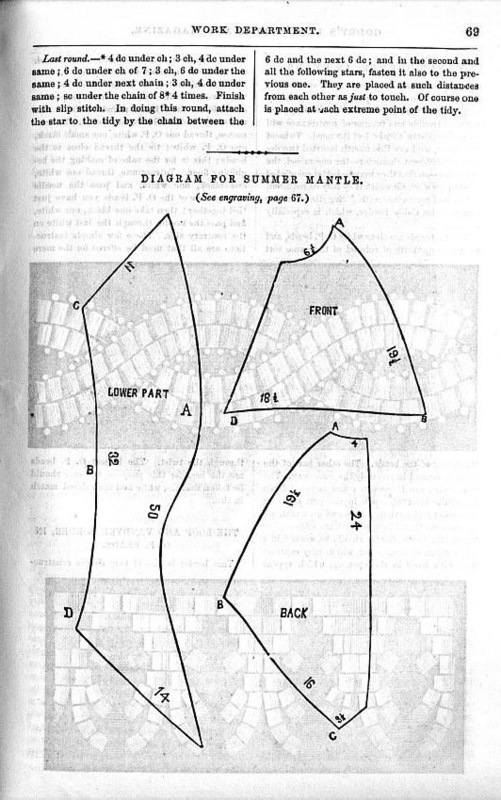 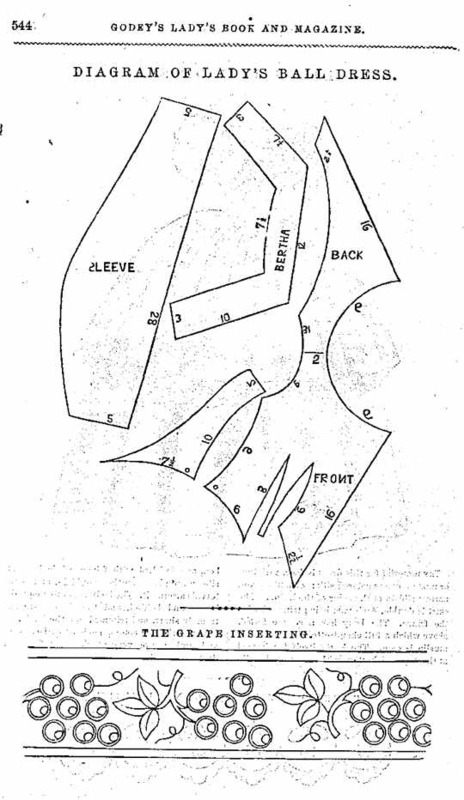 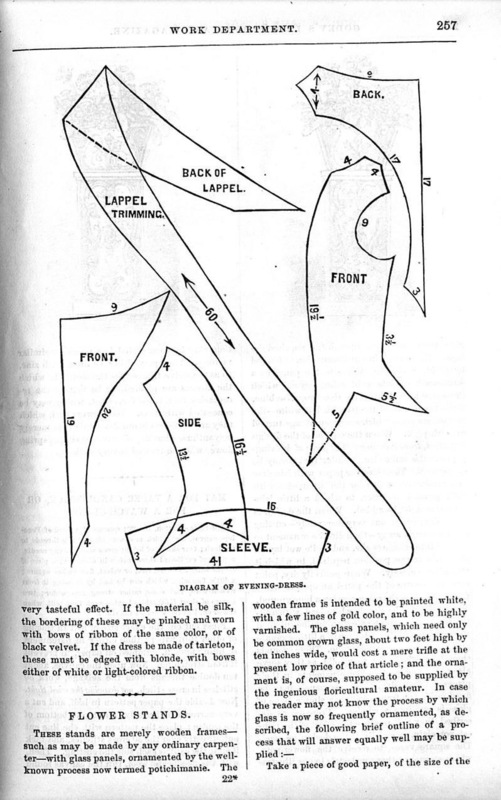 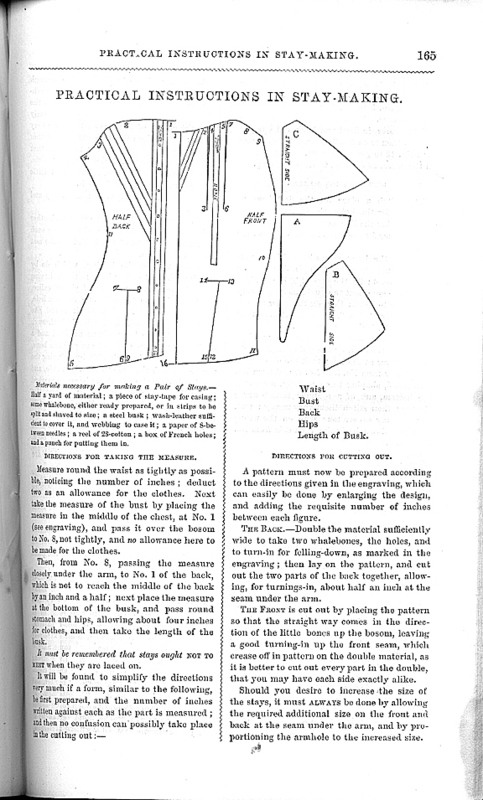 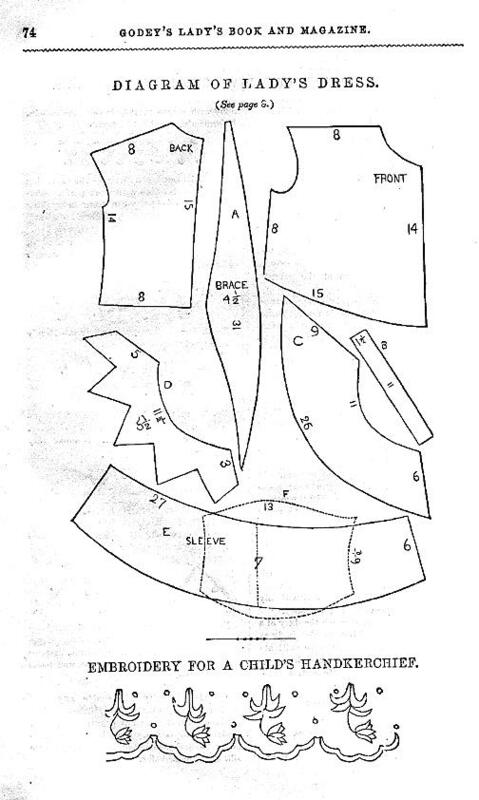 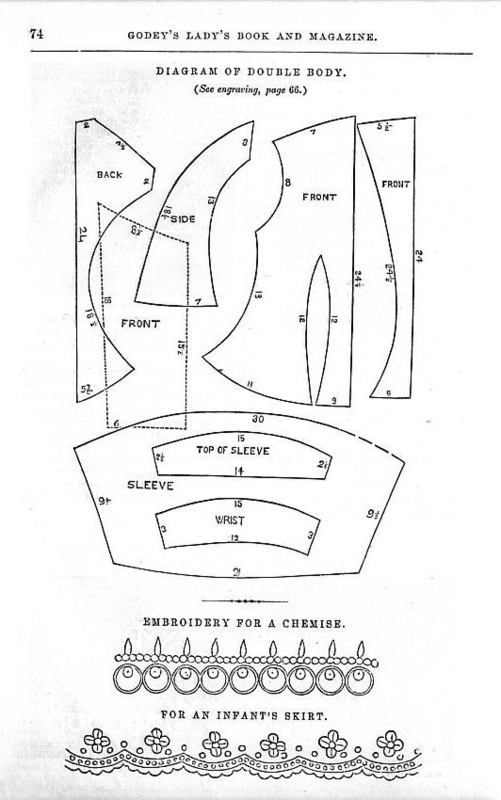 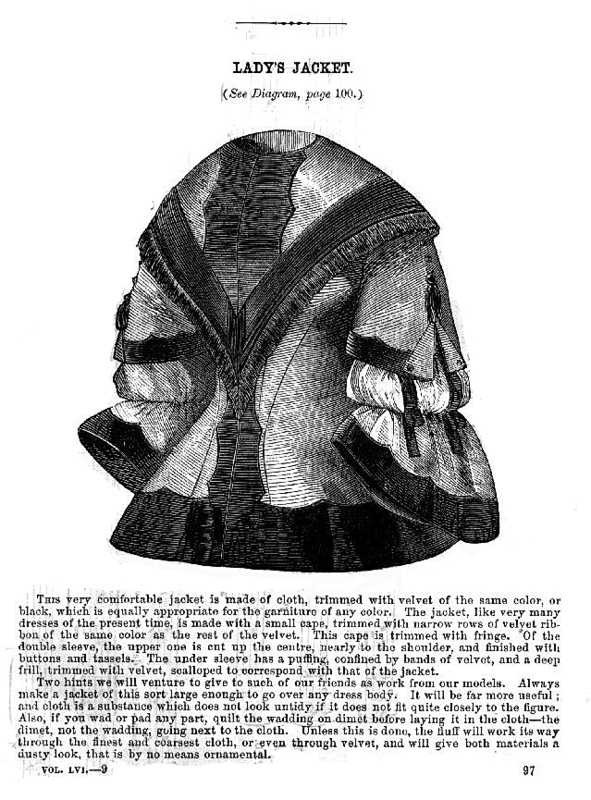 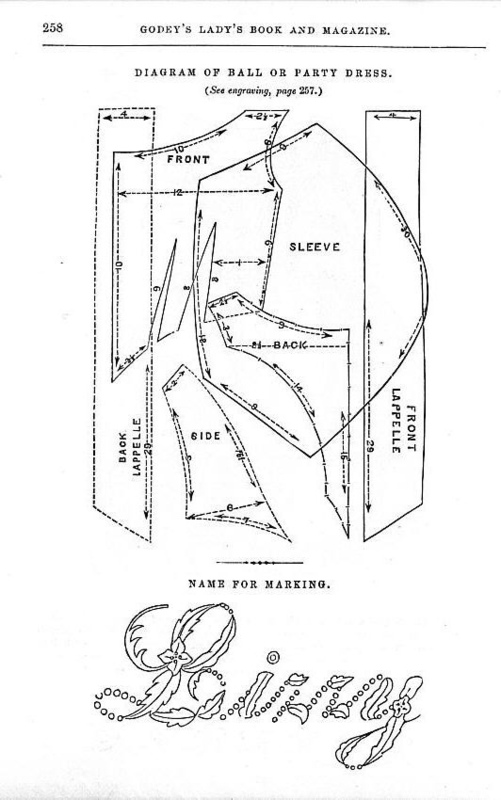 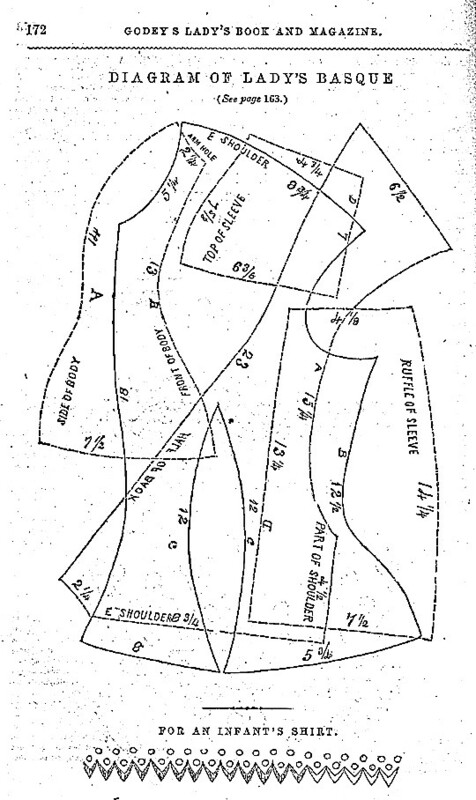 Note: In order to make these images more useful to those who would like to use the patterns to construct garments I have scanned them larger than original size and have digitally enhanced them, where necessary, to make measurements more readable. 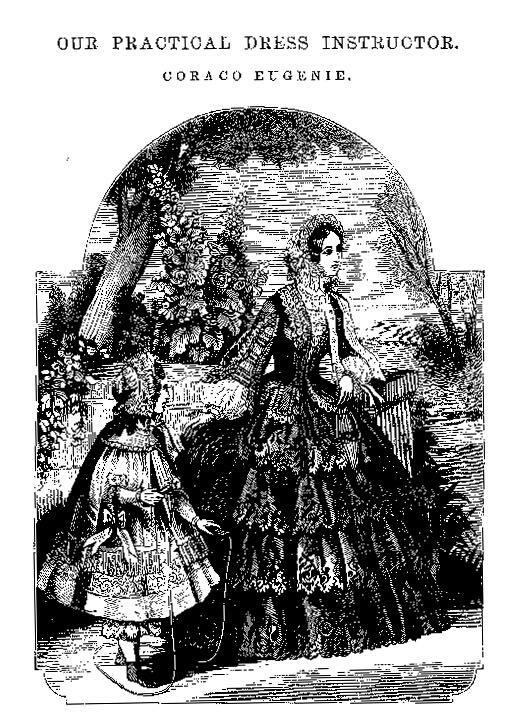 As a result they are rather large images, averaging 100K compressed and uncompressing to an average of 500K. 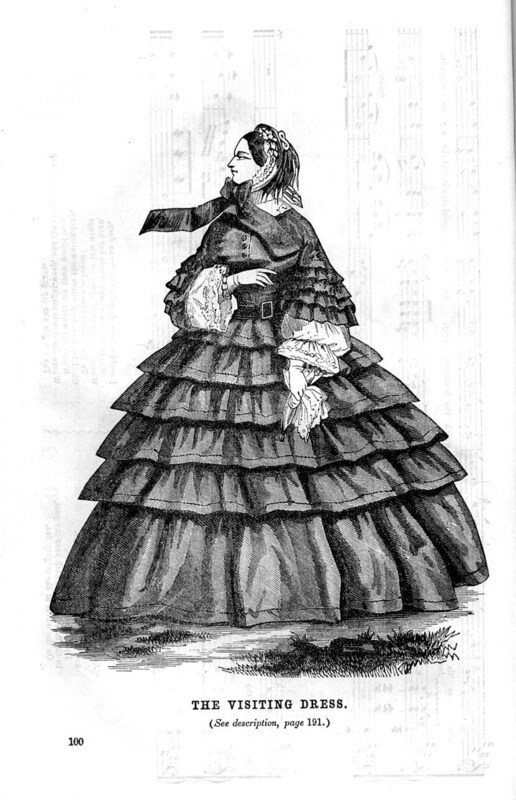 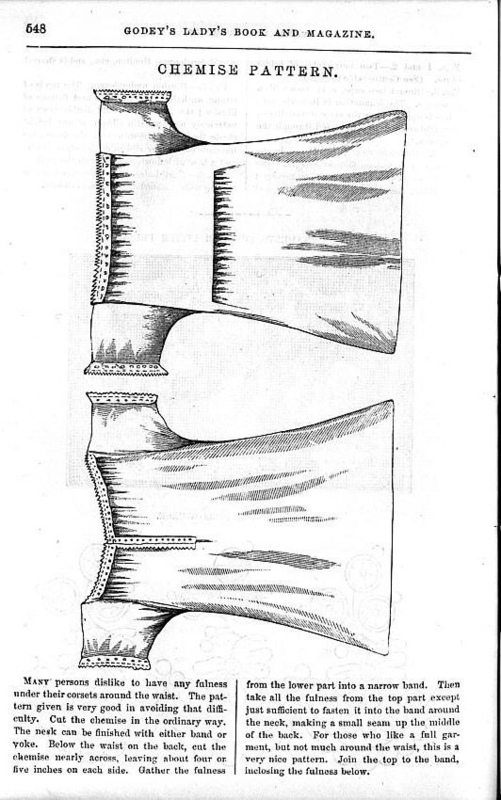 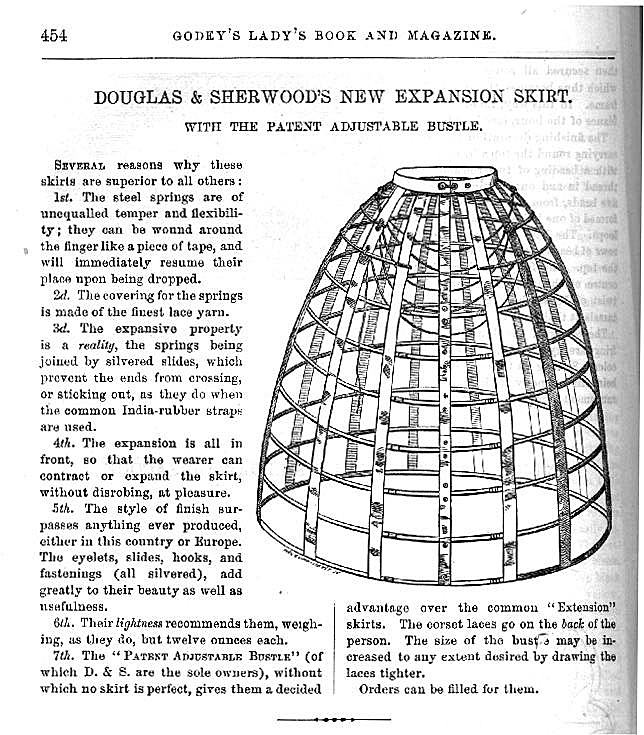 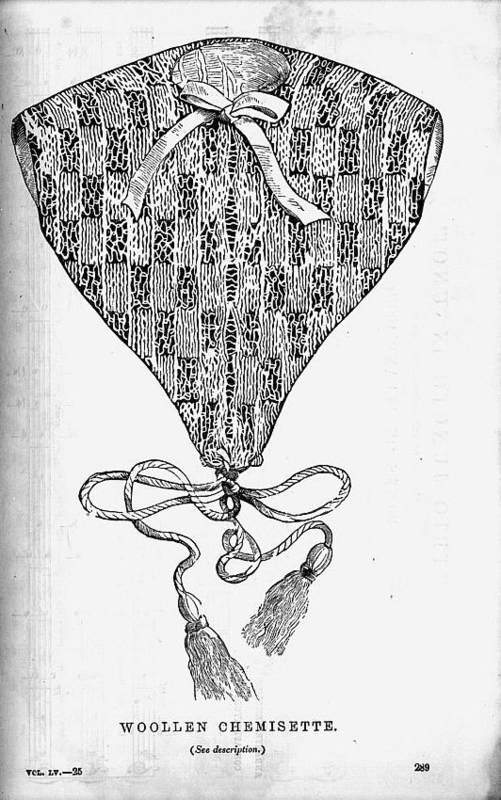 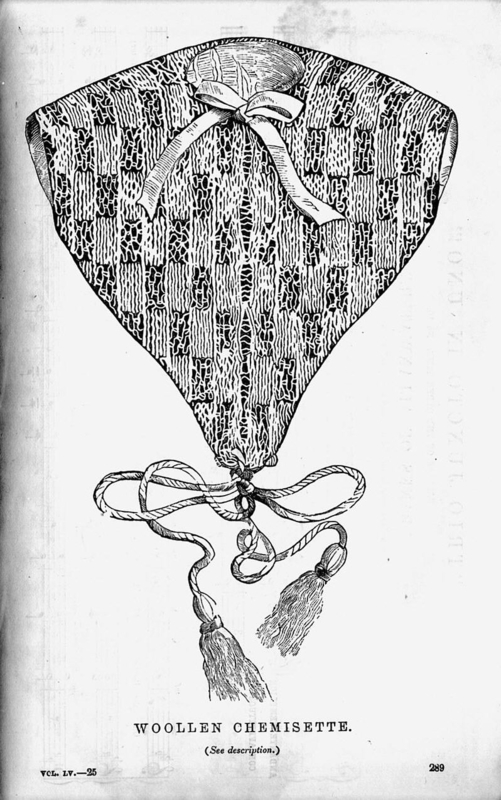 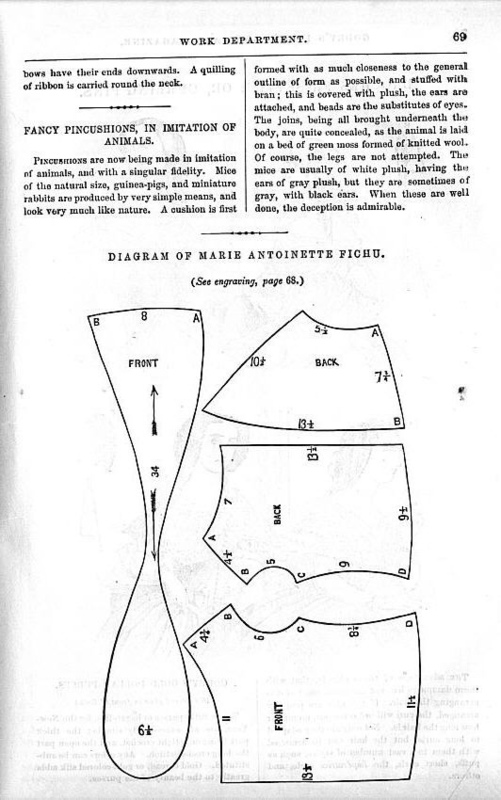 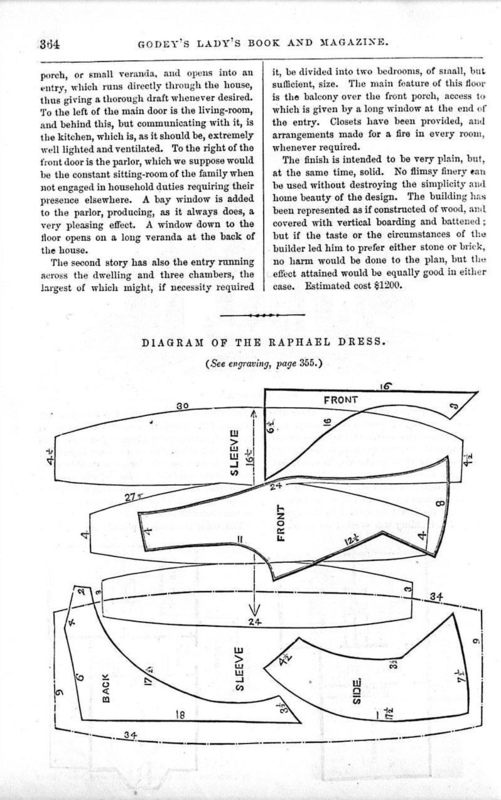 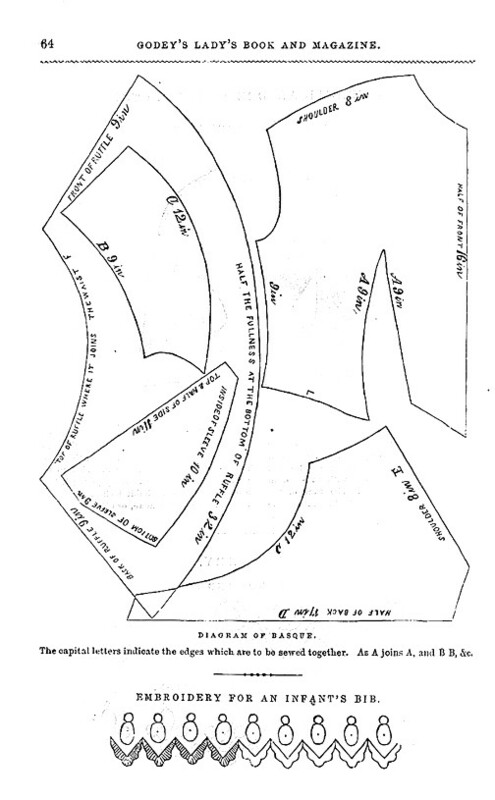 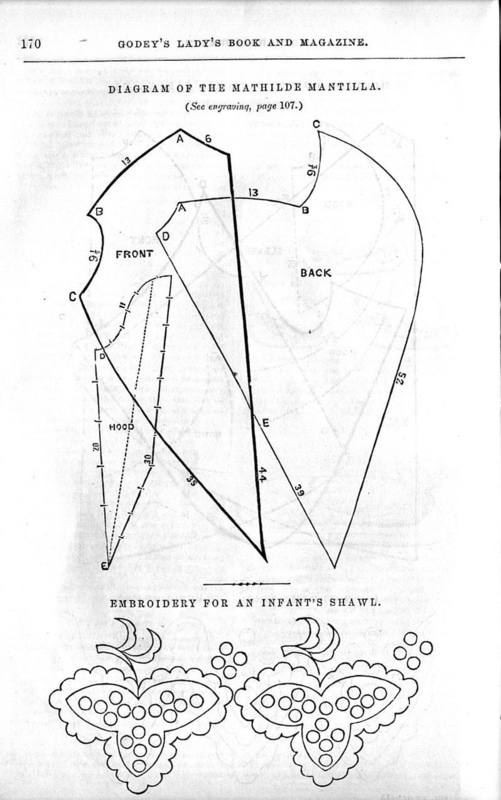 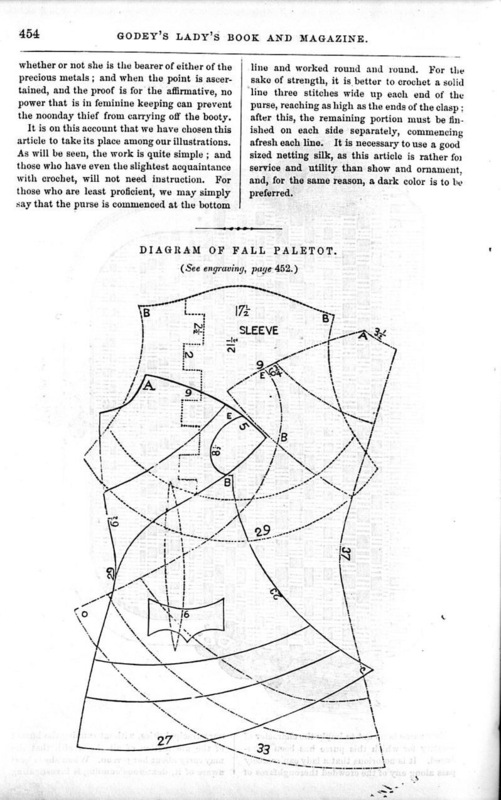 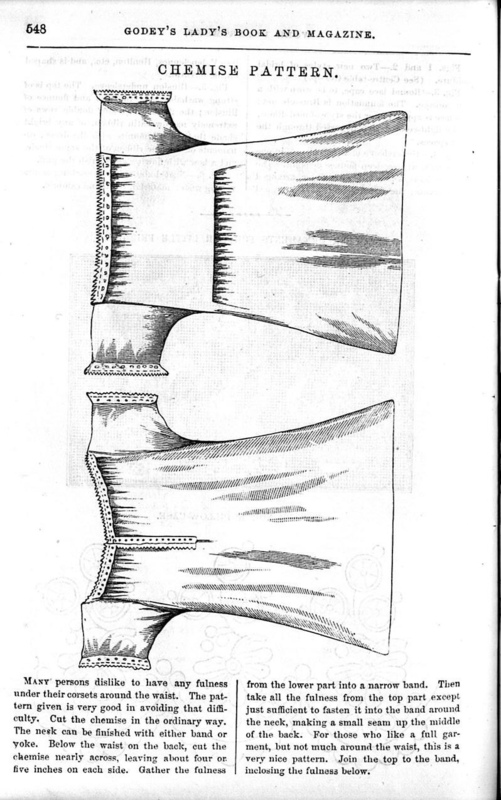 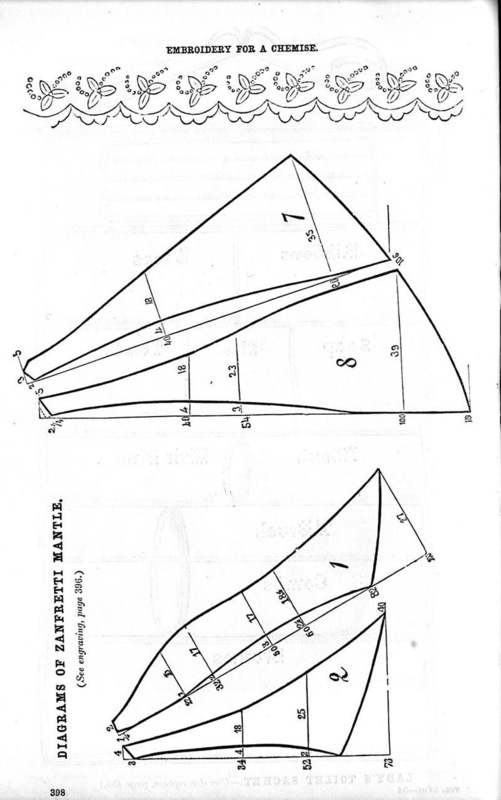 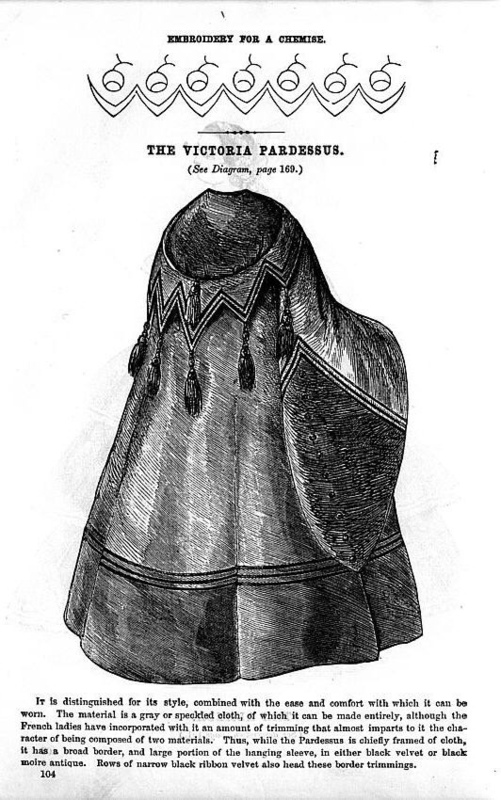 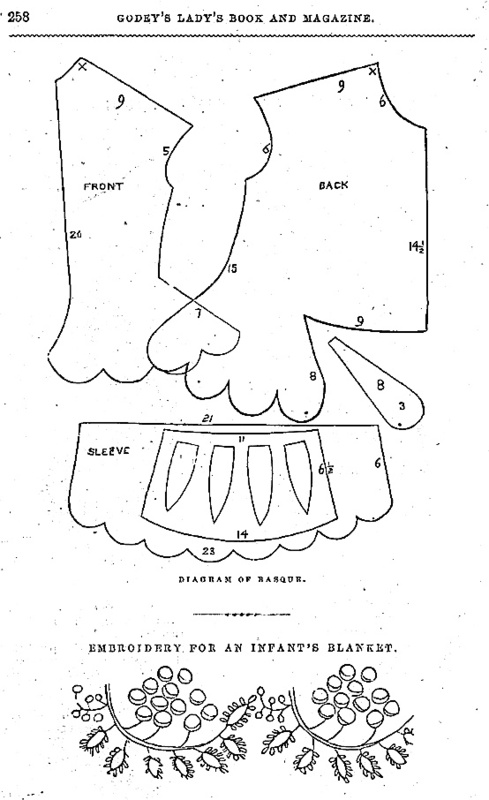 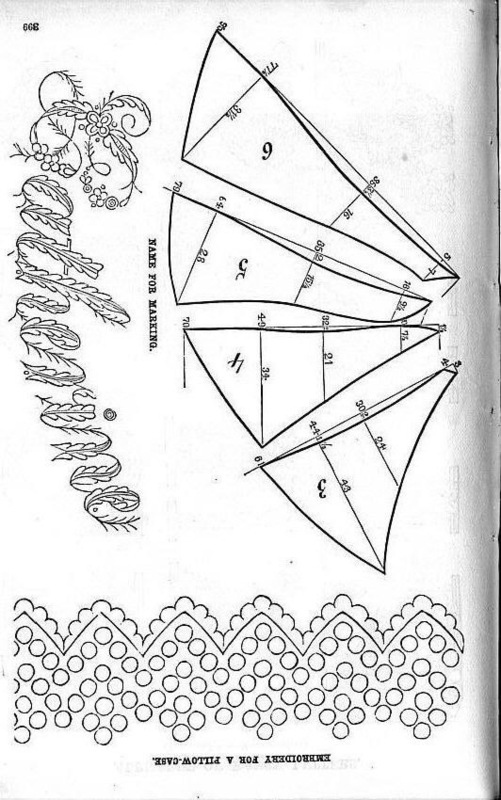 July, 1855: Coraco Eugenie, pattern (glb7-55di2.jpeg). 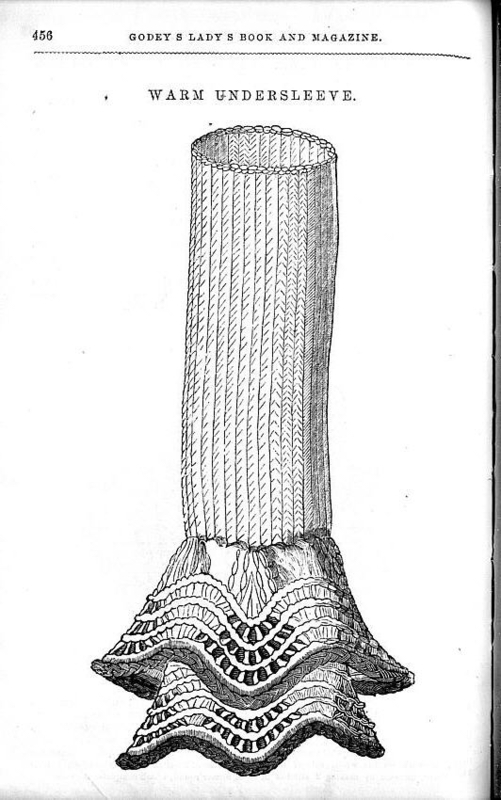 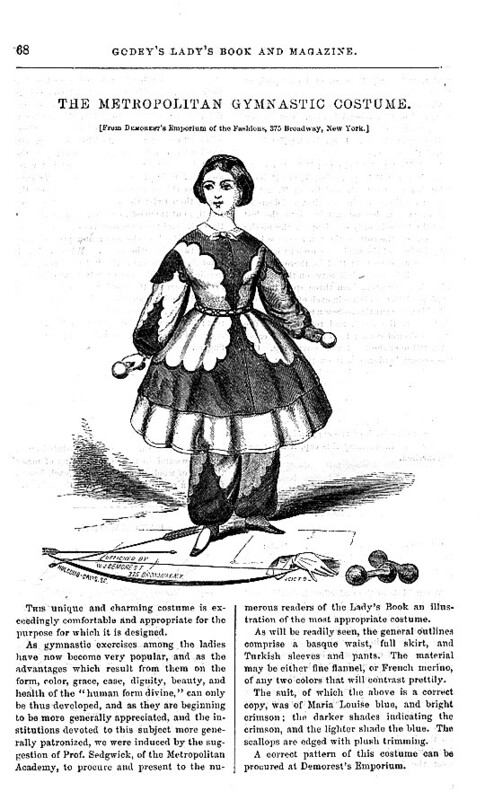 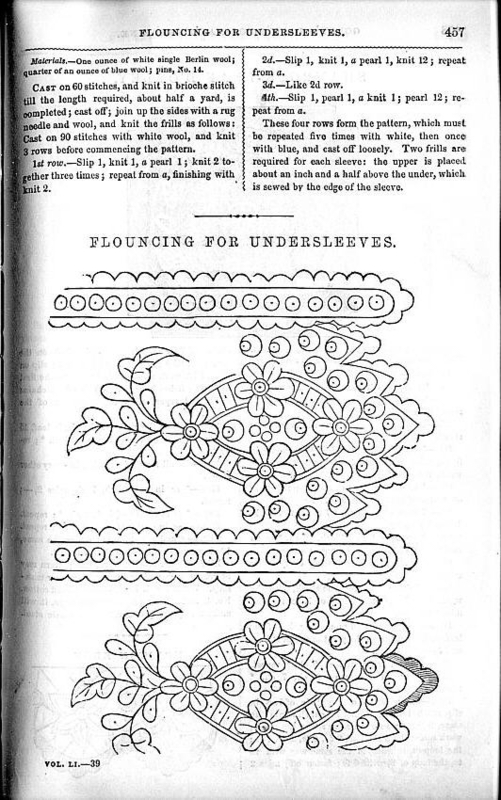 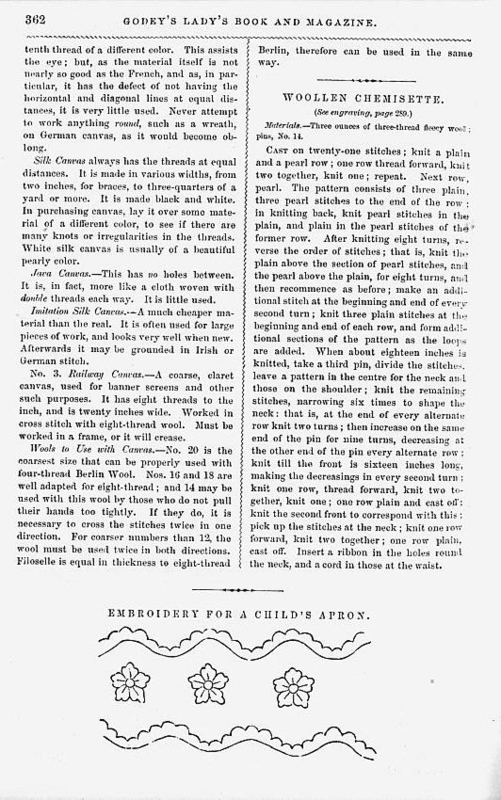 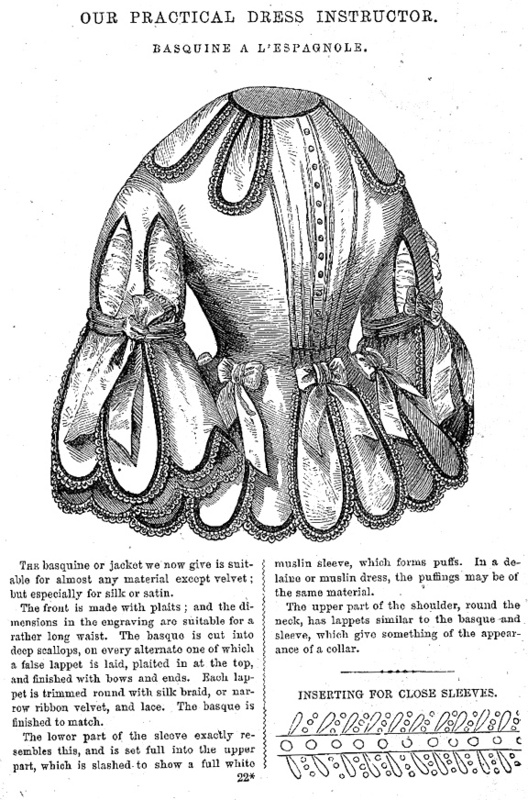 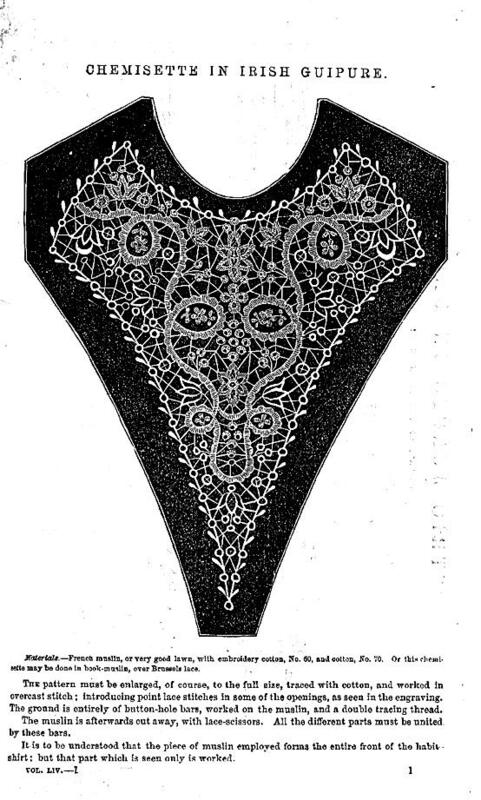 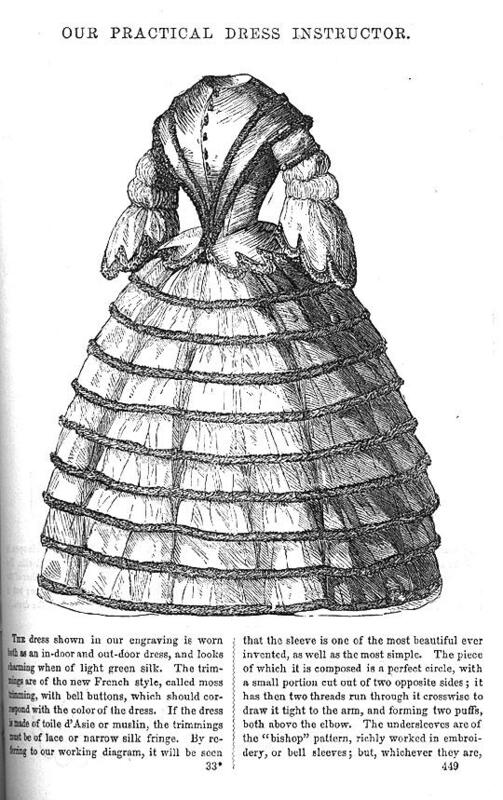 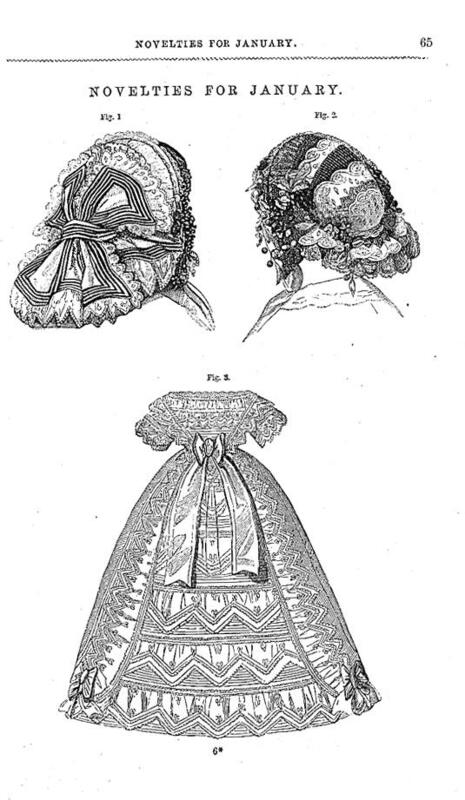 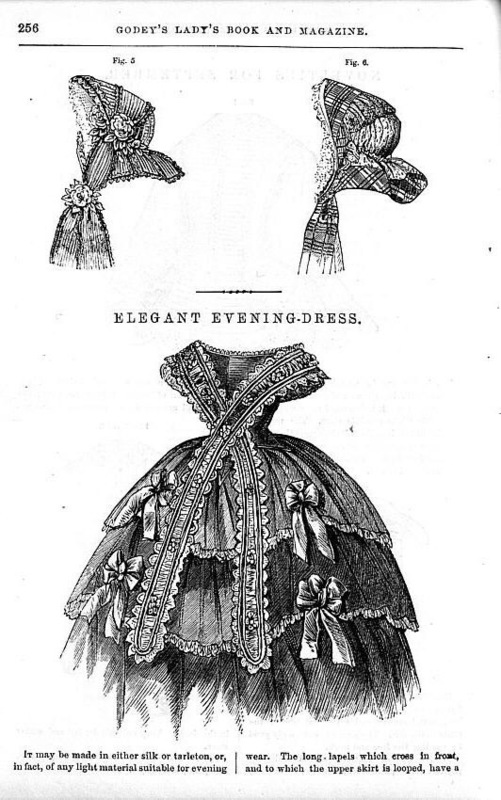 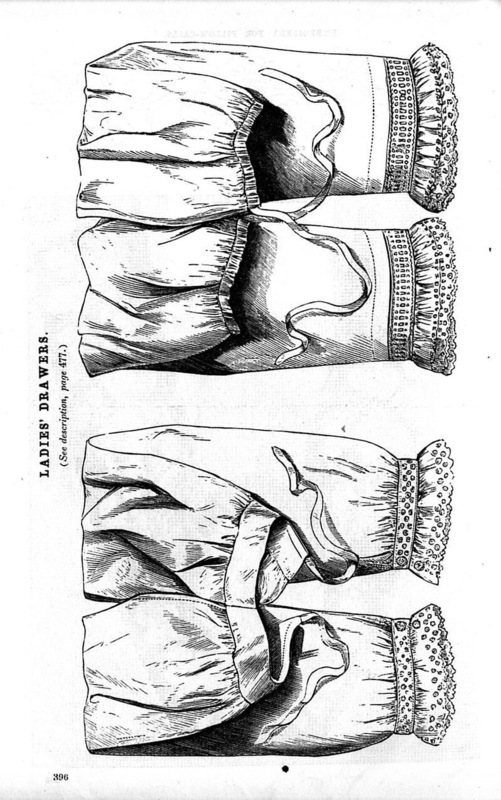 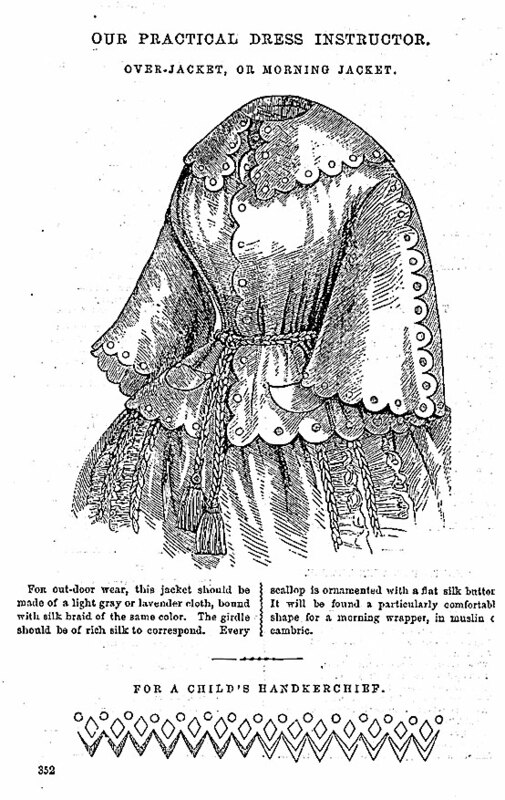 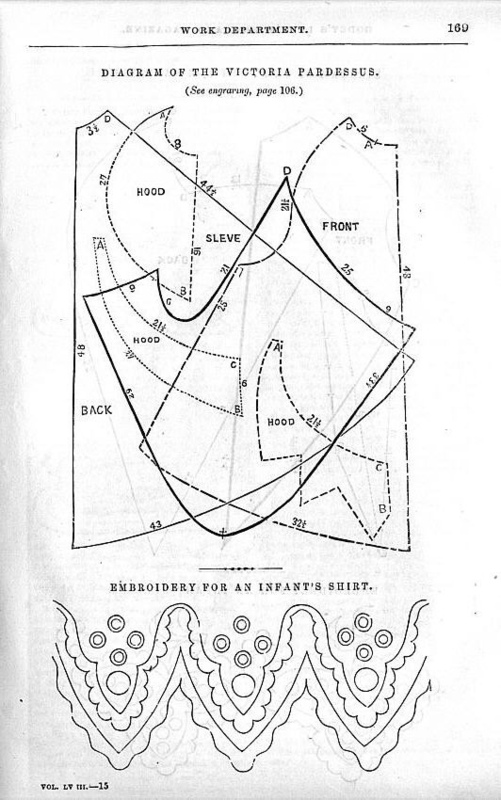 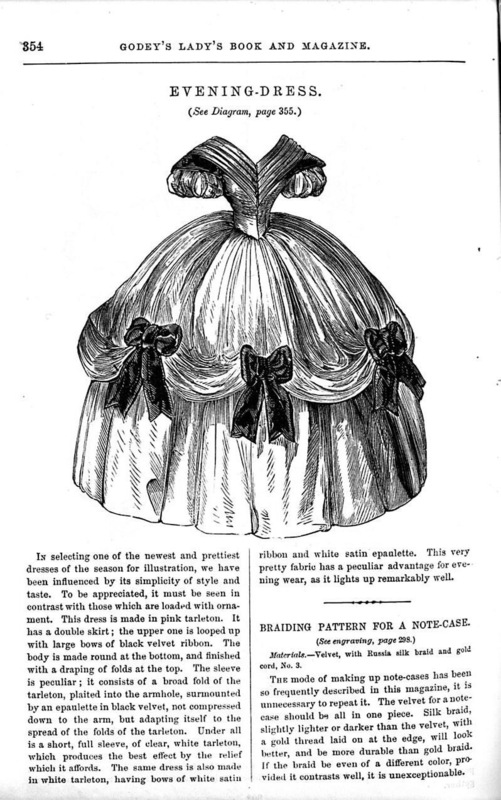 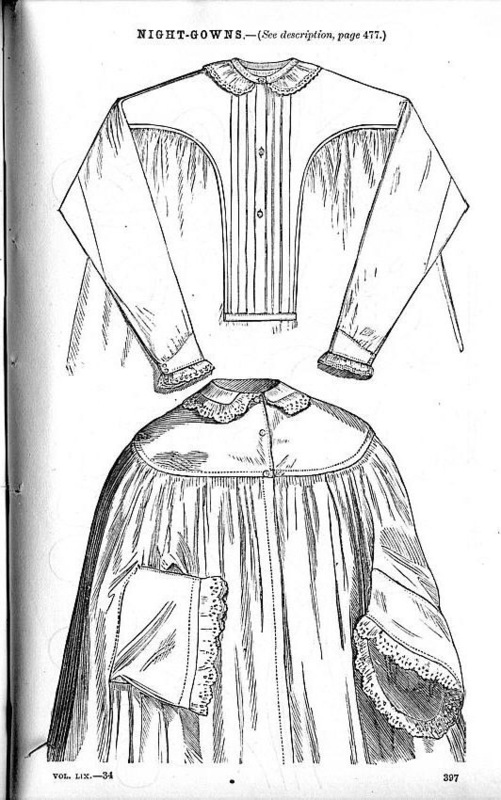 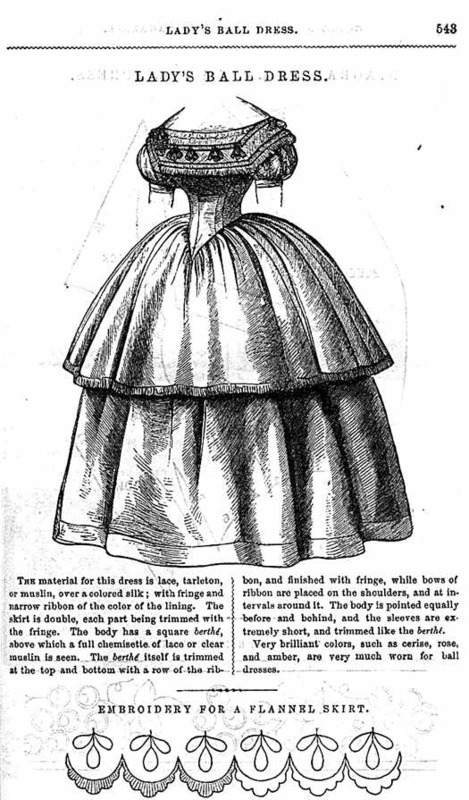 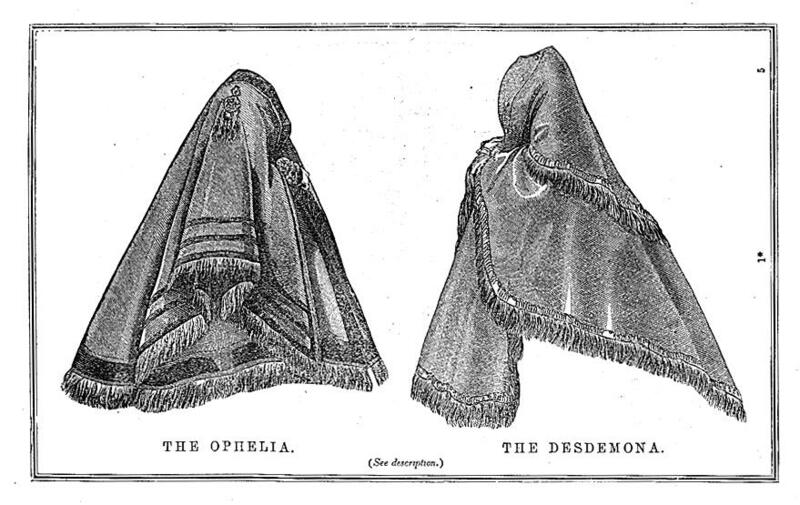 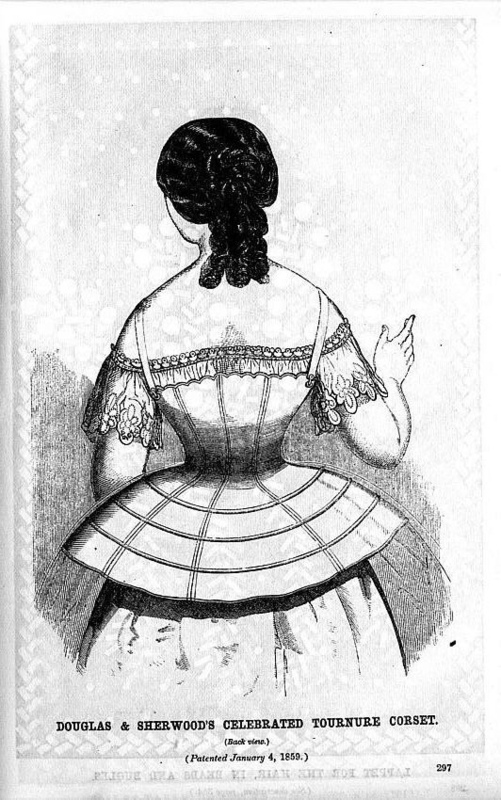 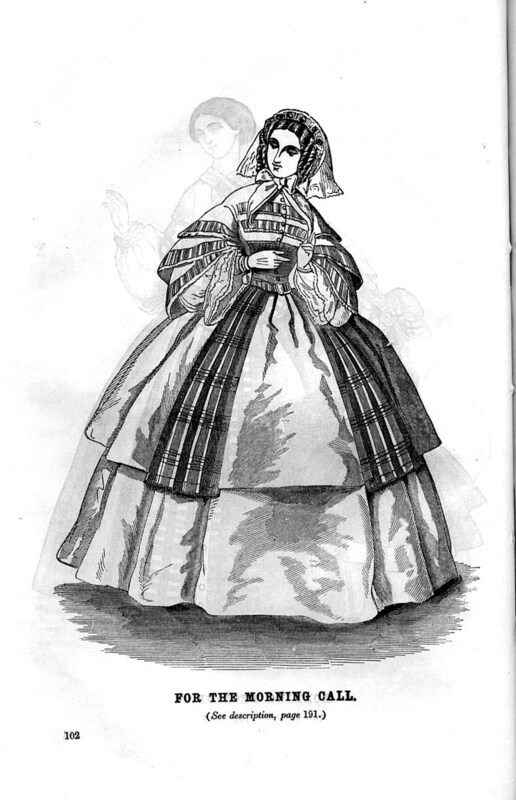 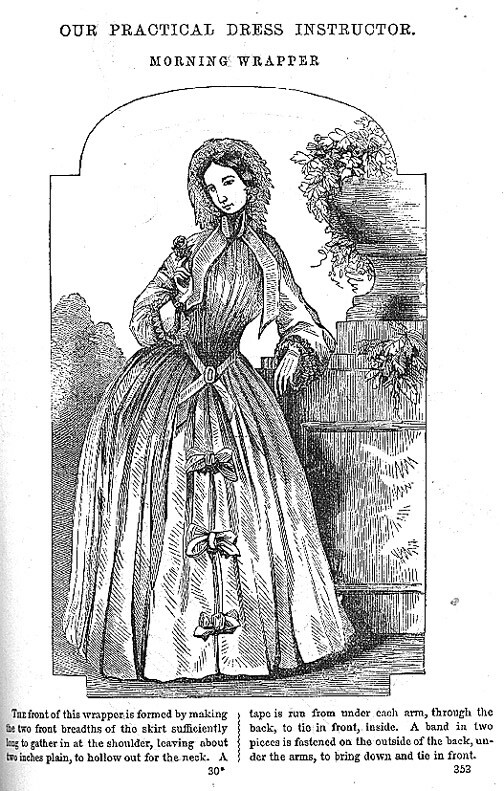 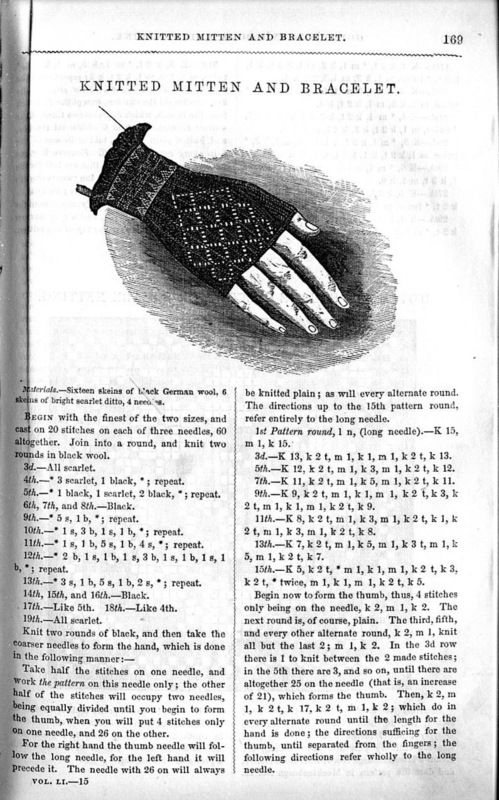 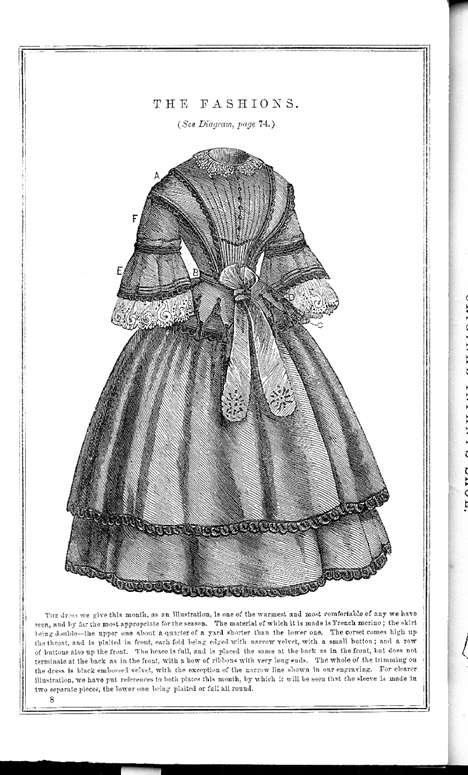 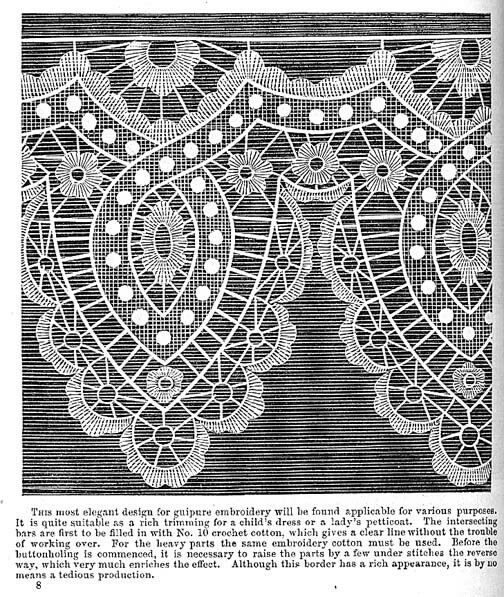 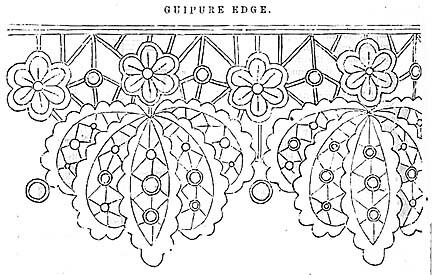 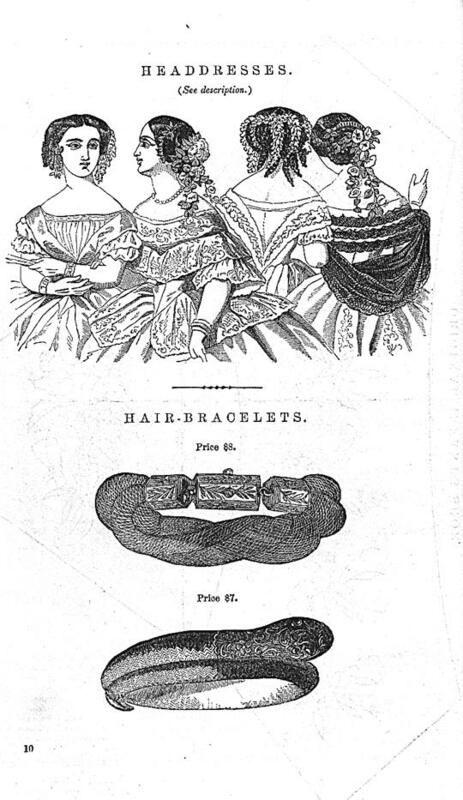 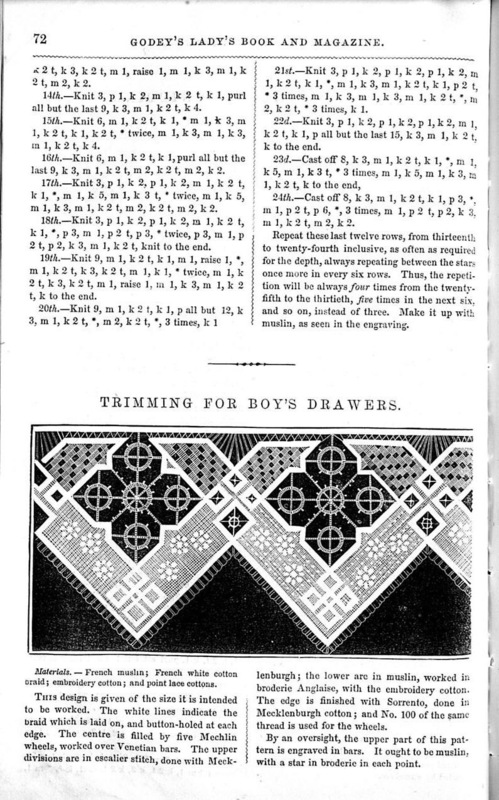 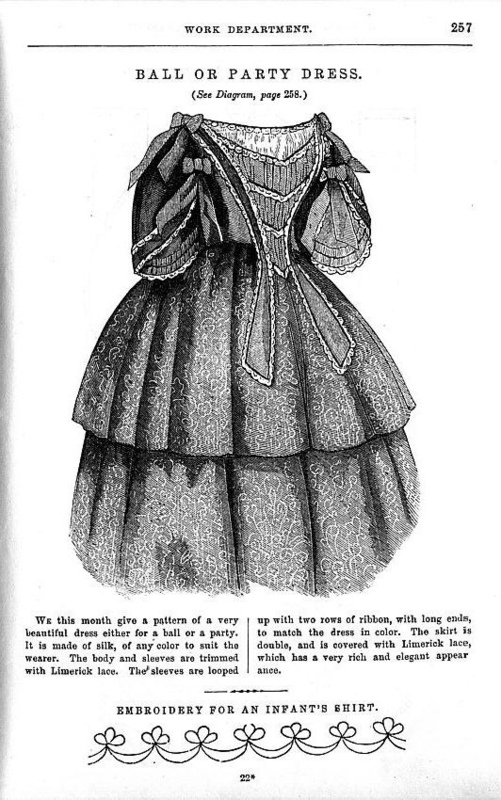 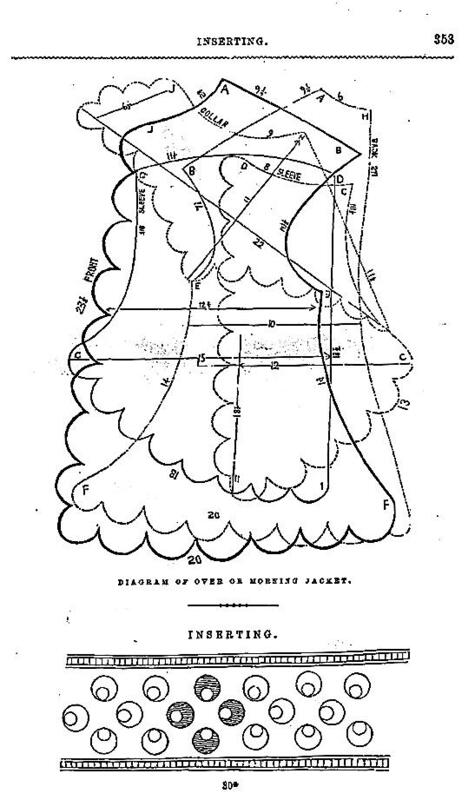 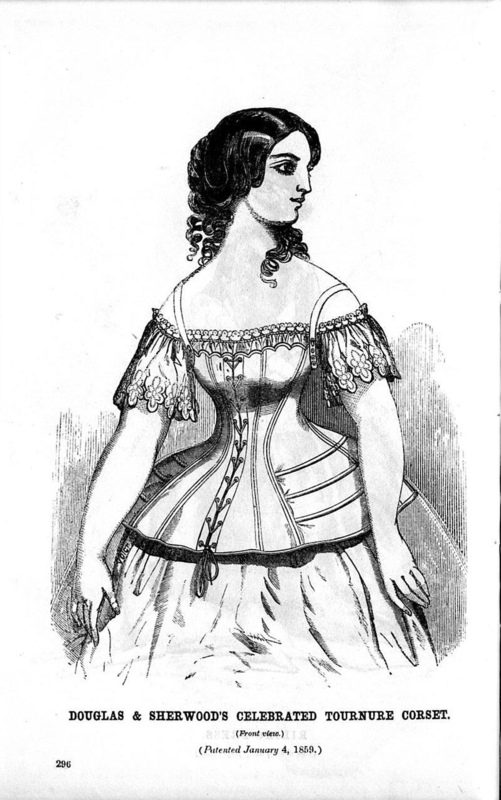 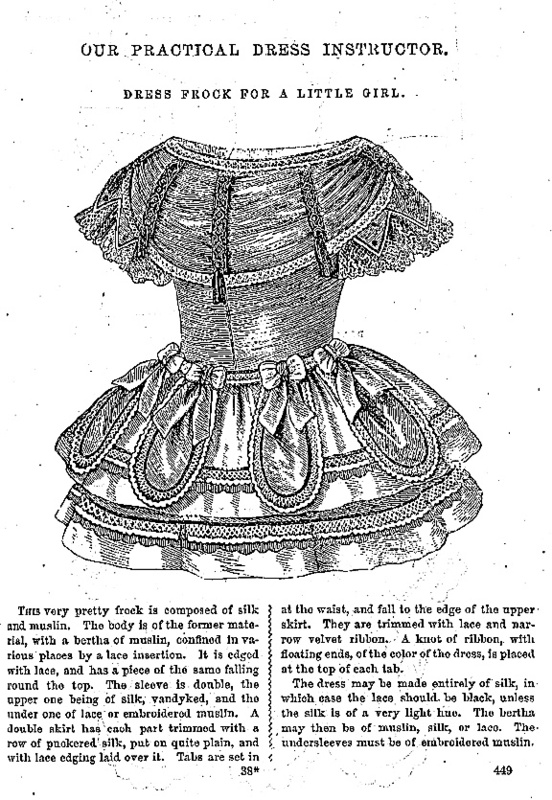 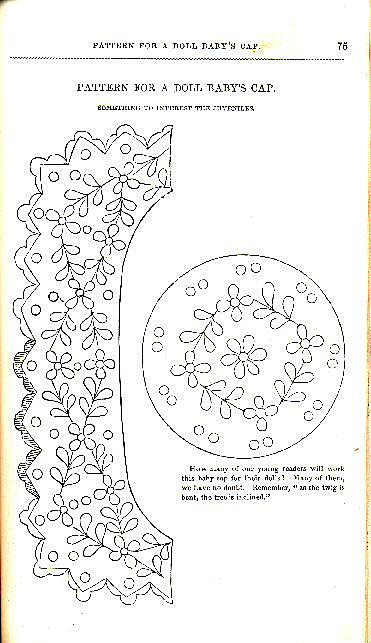 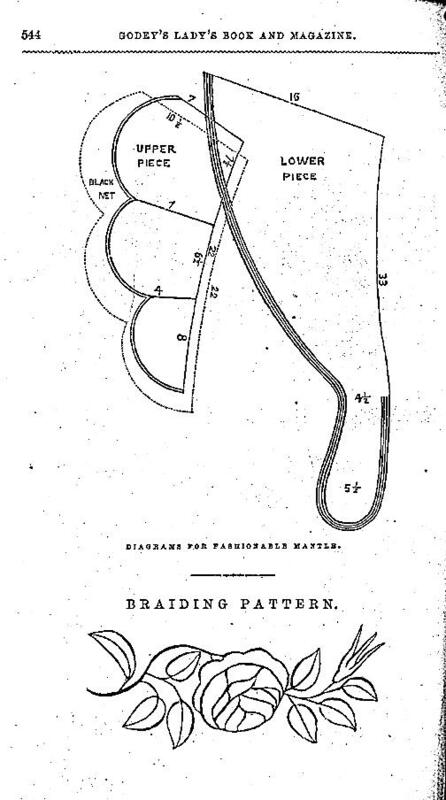 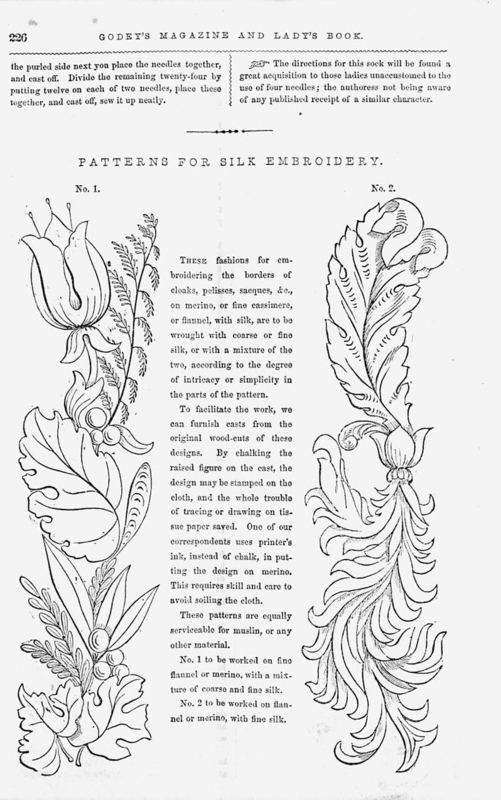 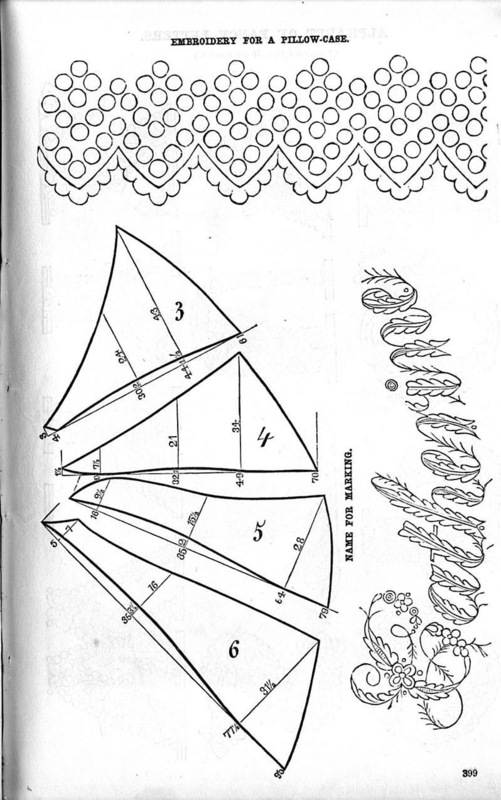 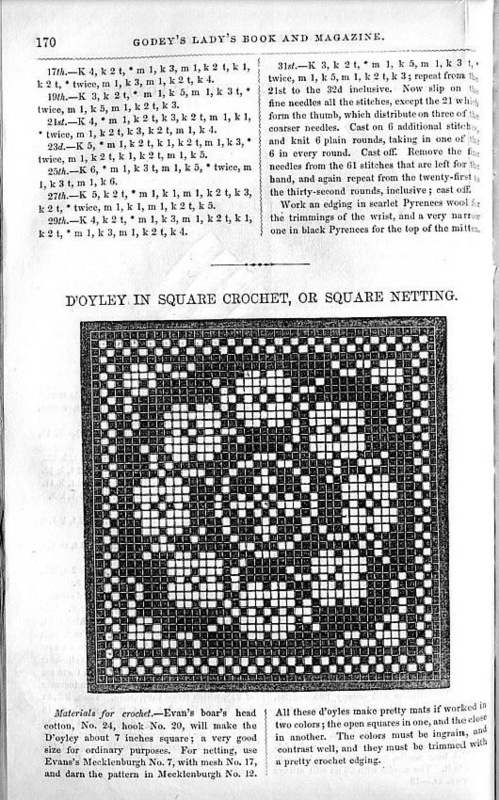 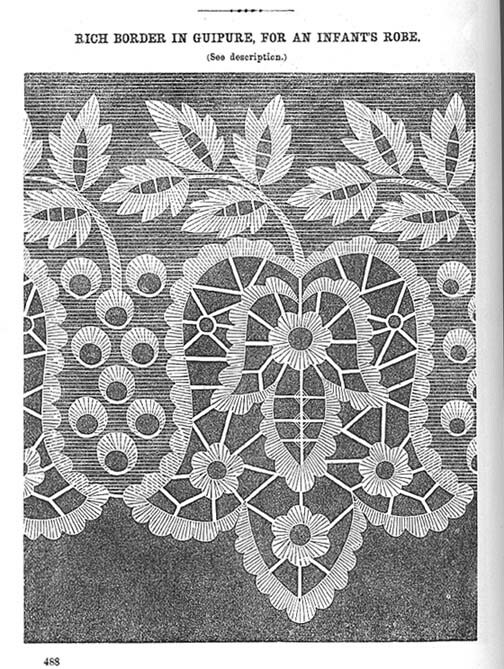 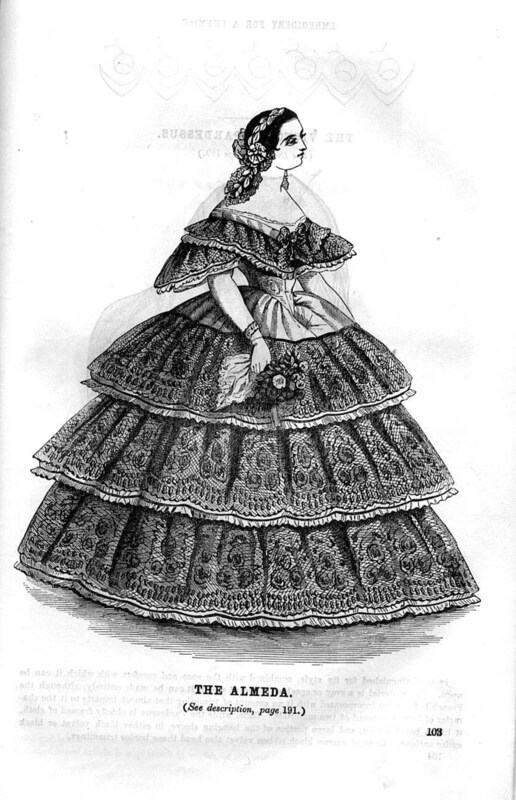 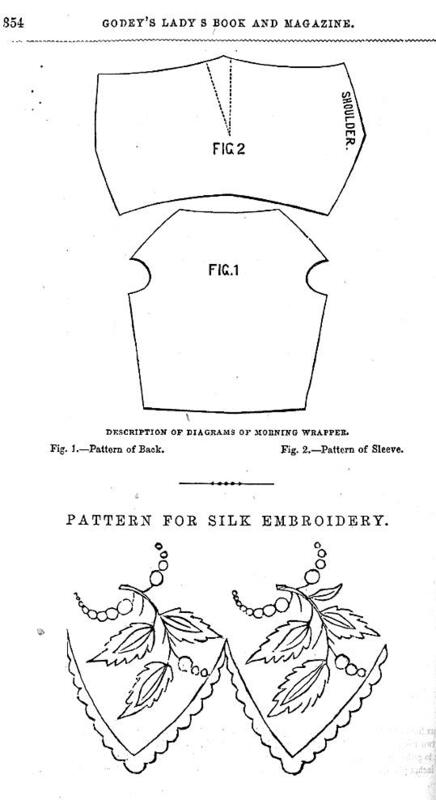 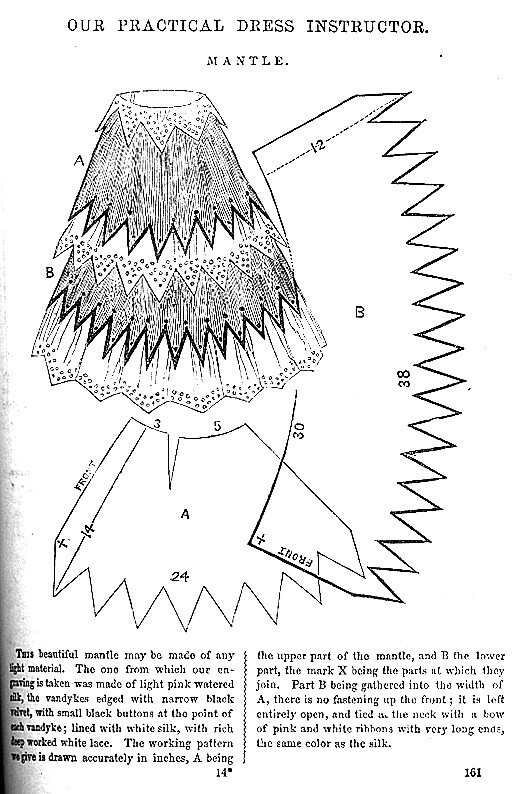 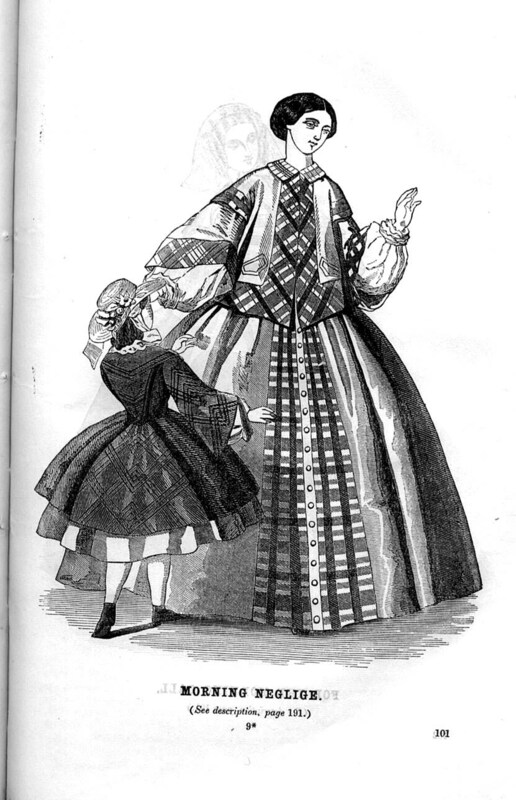 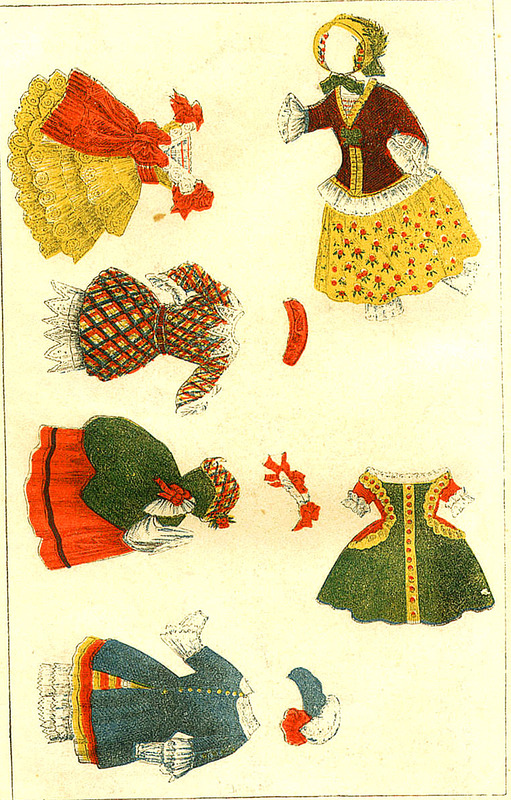 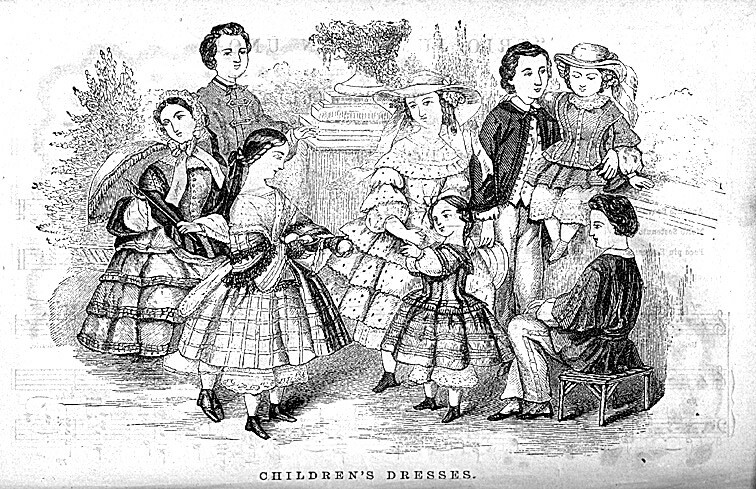 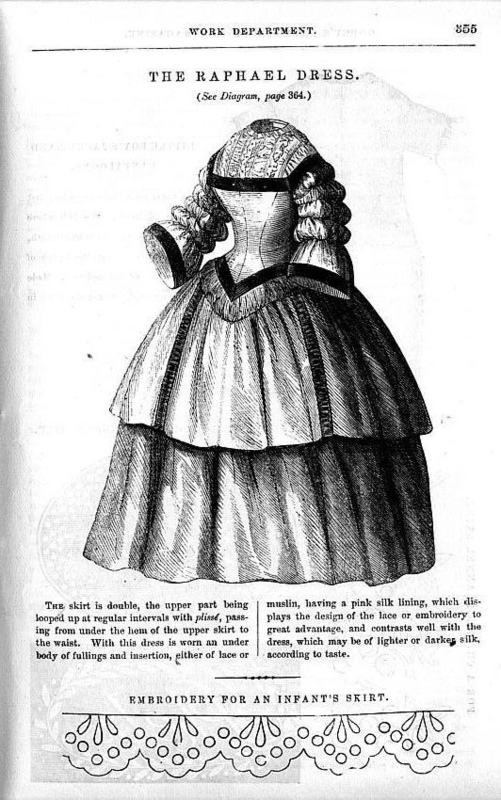 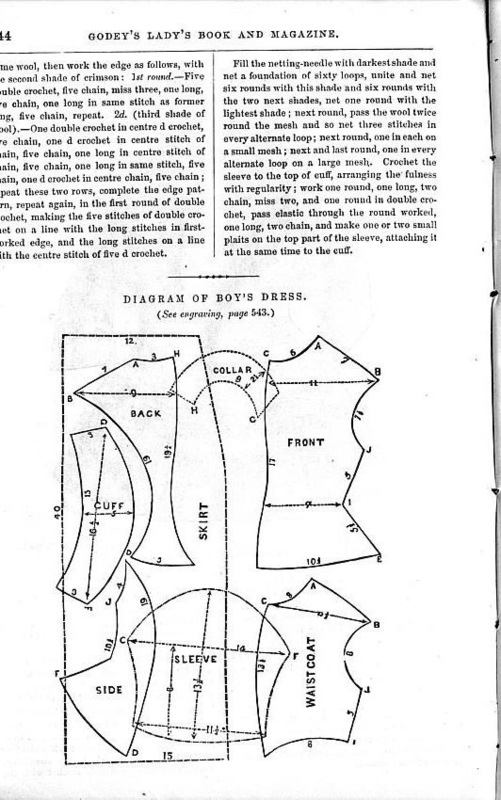 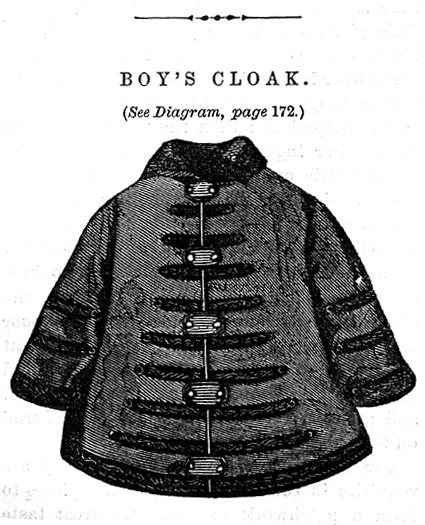 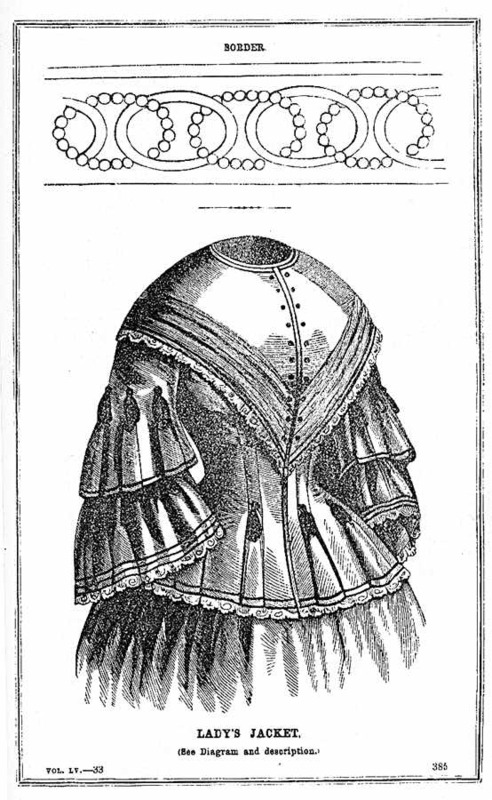 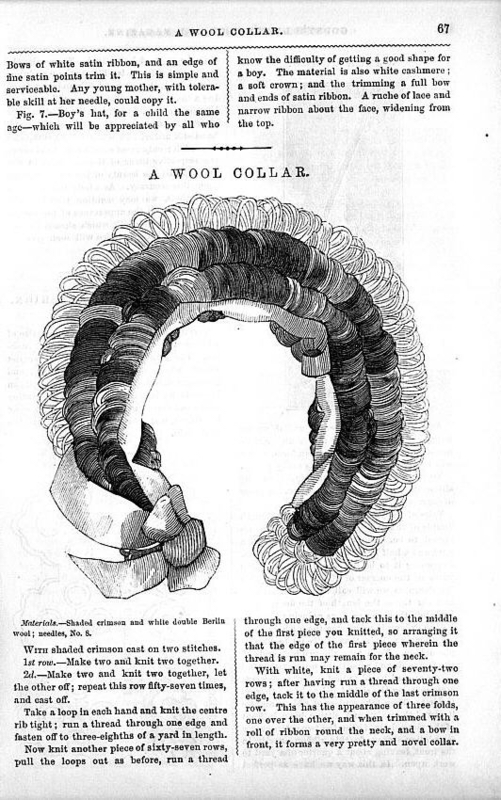 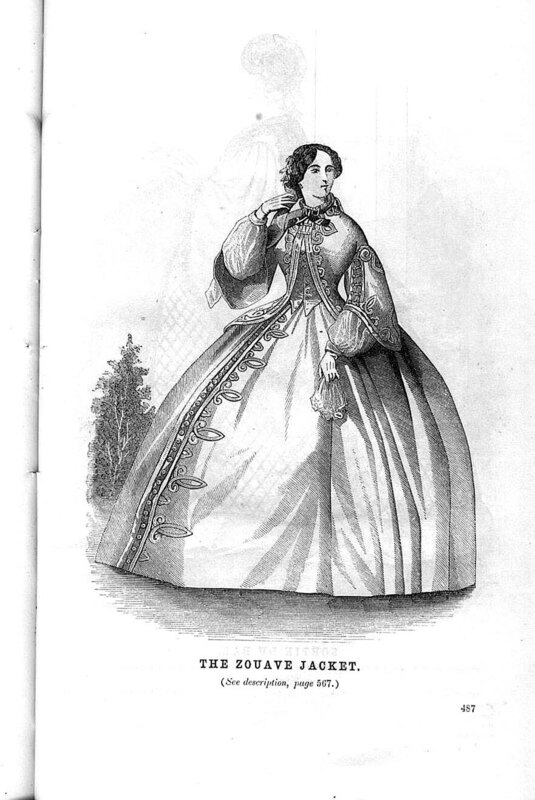 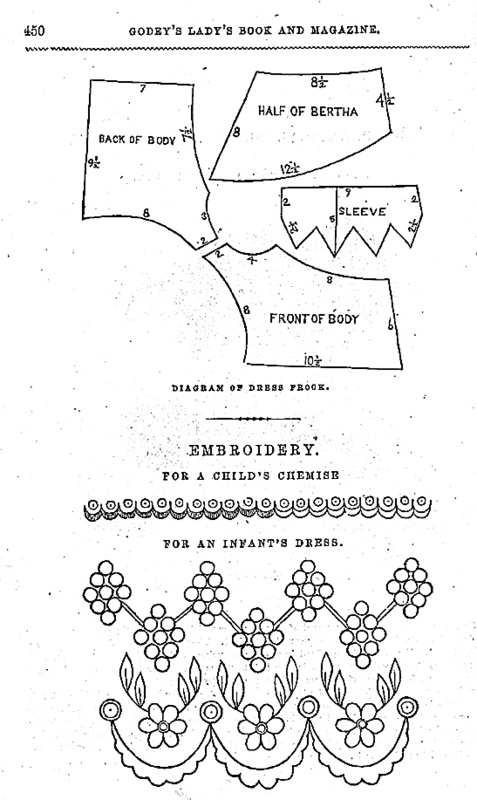 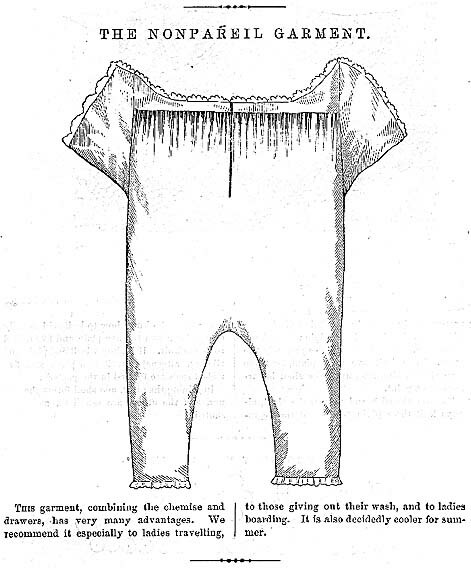 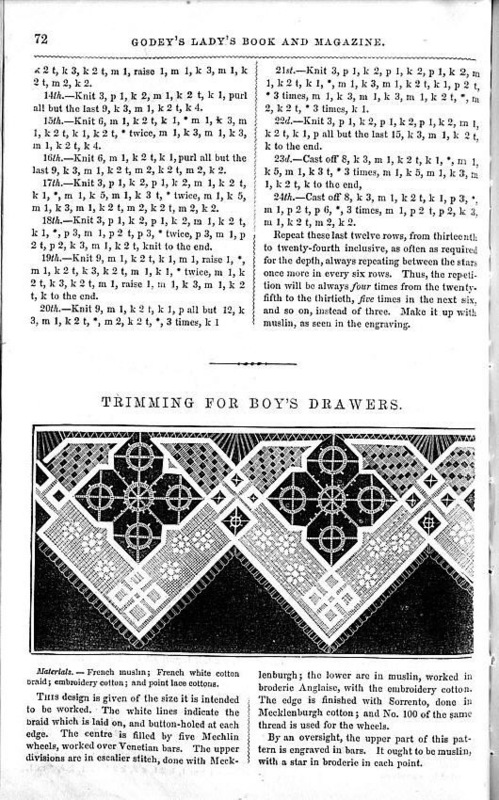 Most of the patterns in Godey's were for fine embroidery. 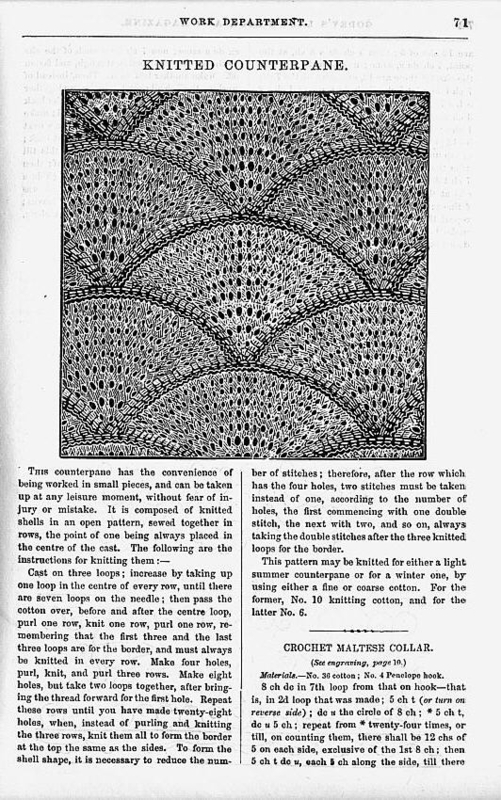 Crochet work and knitting were represented, with crochet being the more prevalent. 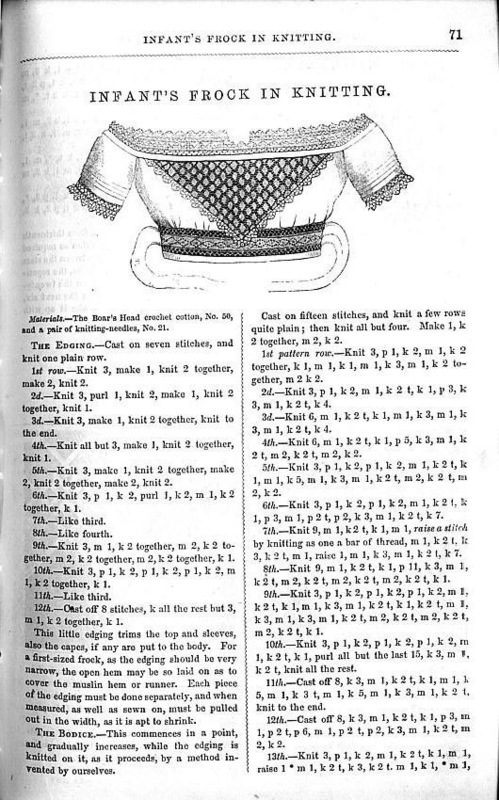 However, I have received a number of requests for knitting patterns, so I have included a disproportionate share of them here. 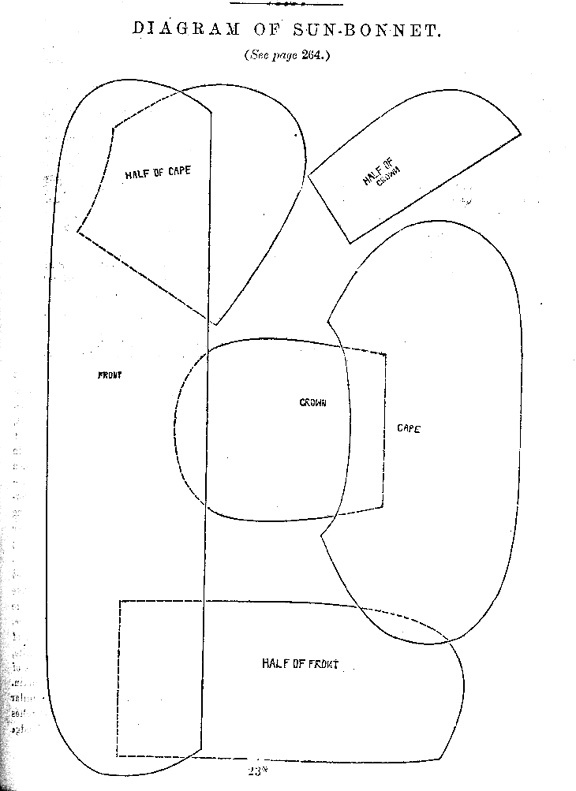 Copyright Hope Greenberg . 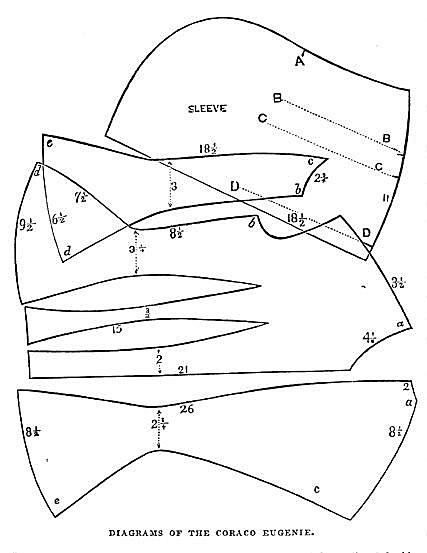 Last updated: 10/12/01.